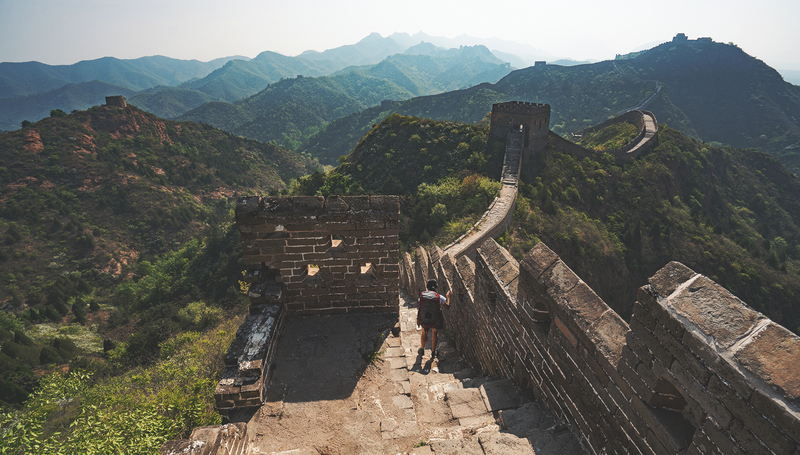 Apart from some trips to “wild” sections of the Great Wall and nature trails around Beijing, my hiking experience in China had been limited before I visited Tiger Leaping Gorge and Shangri-La, Yunnan. It was unlike many Chinese “nature” tourist attractions. 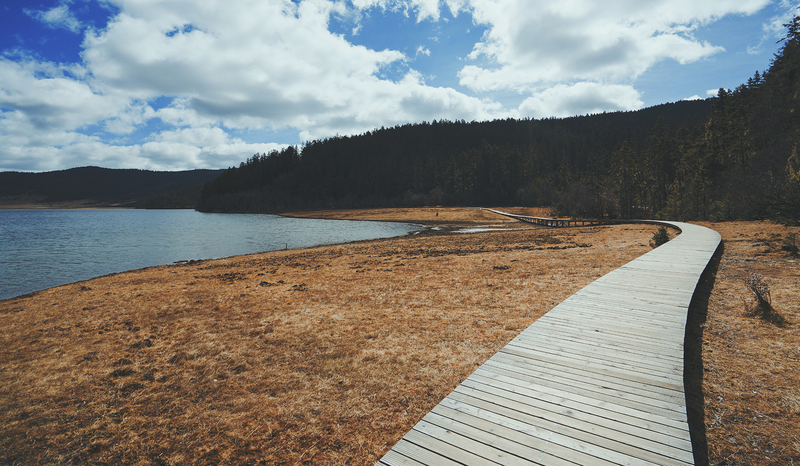 For example, wooden paths and paved trails were sparse. 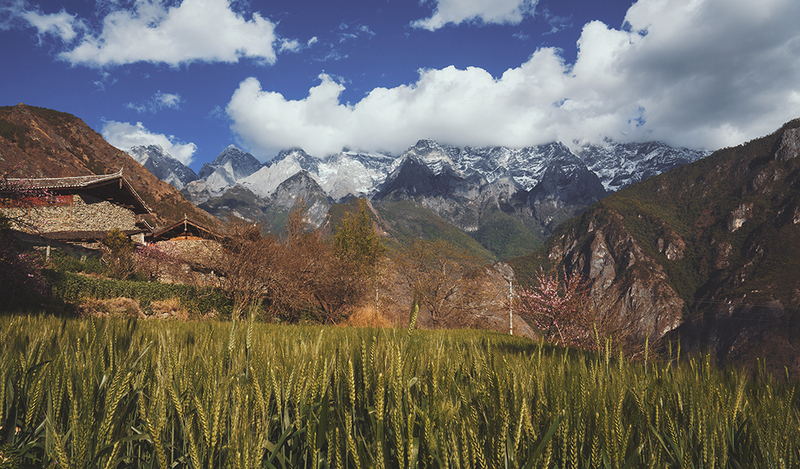 Located near the scenic ancient town of Lijiang, Tiger Leaping Gorge has amazing views and good hikes. 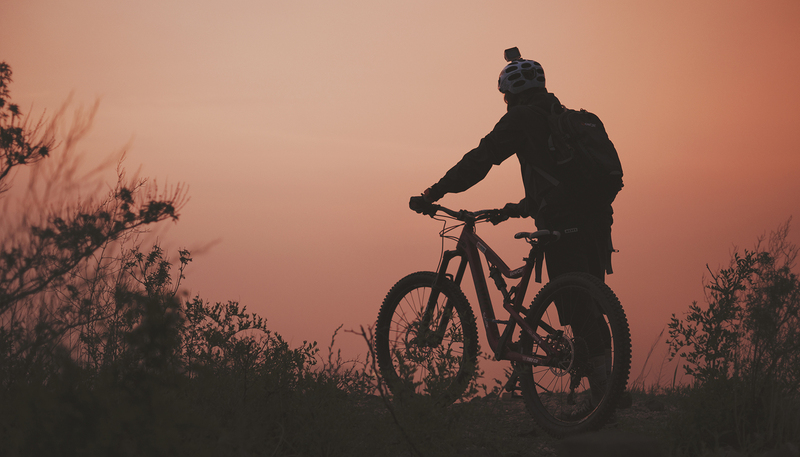 Its rugged terrain turns away the “weekend warrior” tourists, attracting true outdoor enthusiasts. 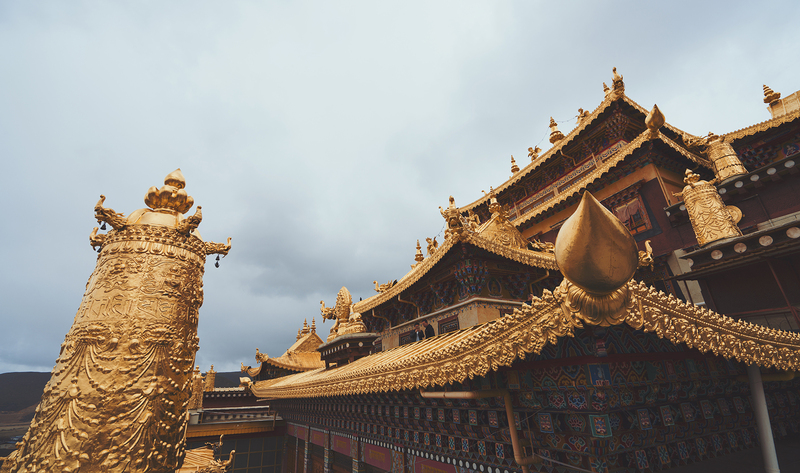 Long fantasied in Western imaginations, Shangri-La, or “sun and moon in one’s heart” in Tibetan, lived up to its reputation as a place rich in mystique and charm. 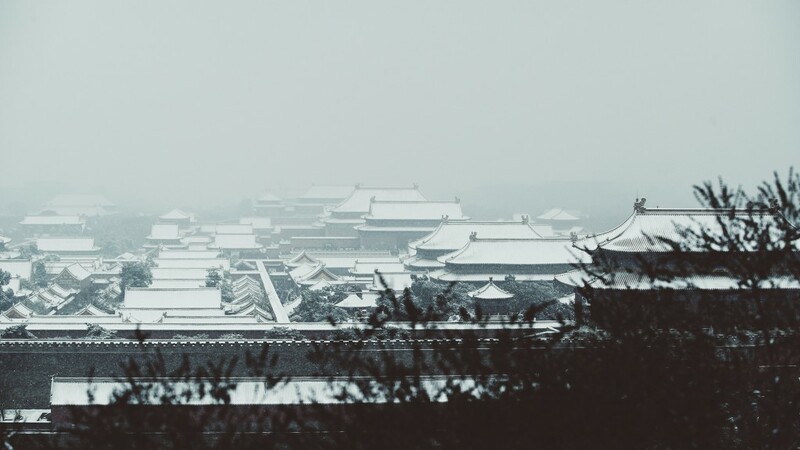 View of Shangri-La from atop the “Chicken” Temple, so named for its free-roaming fowl. 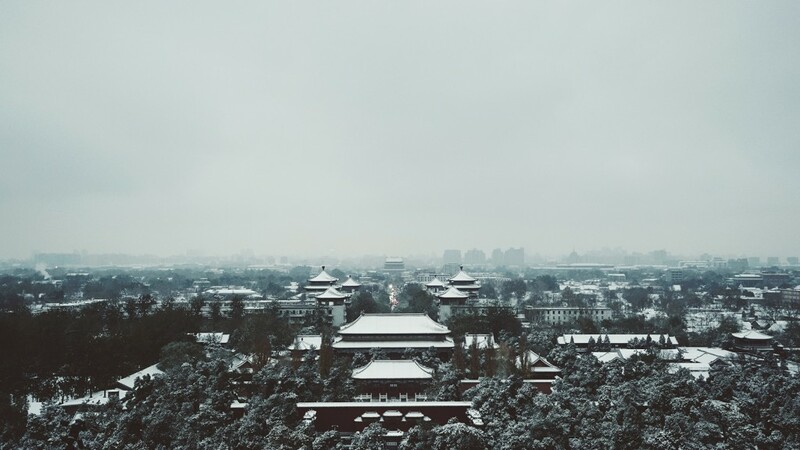 We would have liked to have traveled straight to Shangri-La from Beijing, but the altitude persuaded us to first fly to Lijiang to gradually acclimatize. 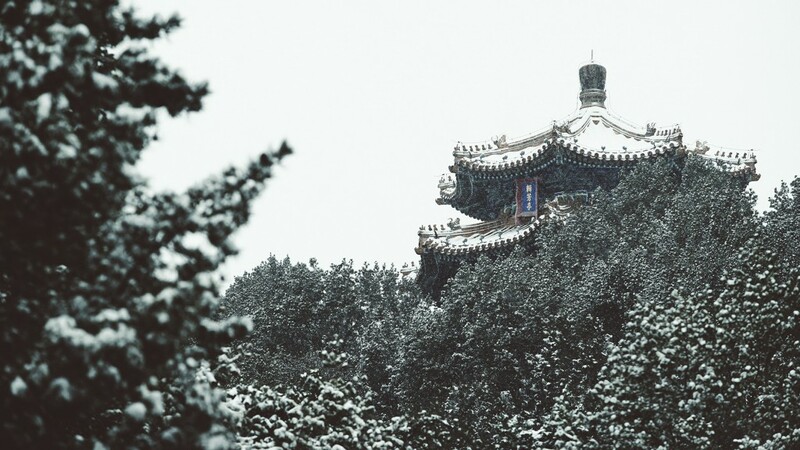 At 3,160 meters, it only takes a gentle ascent at Shangri-La to remind you how thin the air is. 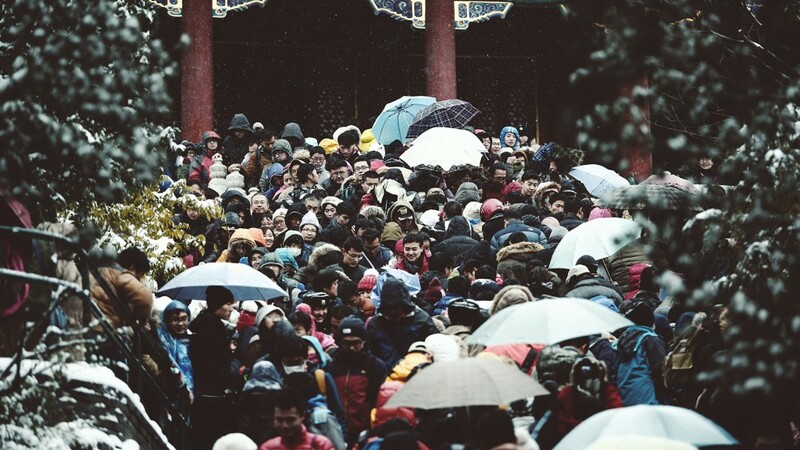 The one night we spent in Lijiang gave us a good sense of the UNESCO-listed town. 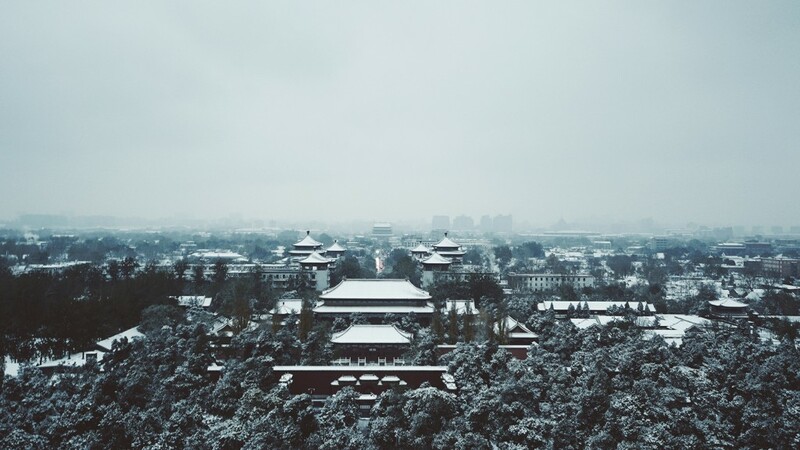 Its quaint cobblestone streets, snaking canals, and the imposing backdrop of Jade Dragon Snow Mountain make almost any photo a picturesque postcard. However, our interest was in the outdoors. We therefore headed to Shangri-La quickly to have time to explore the main town and visit Pudacuo National Park. Our bus ride from Lijiang to Shangri-La took close to five hours. The last hour was on a long straight road still under construction. 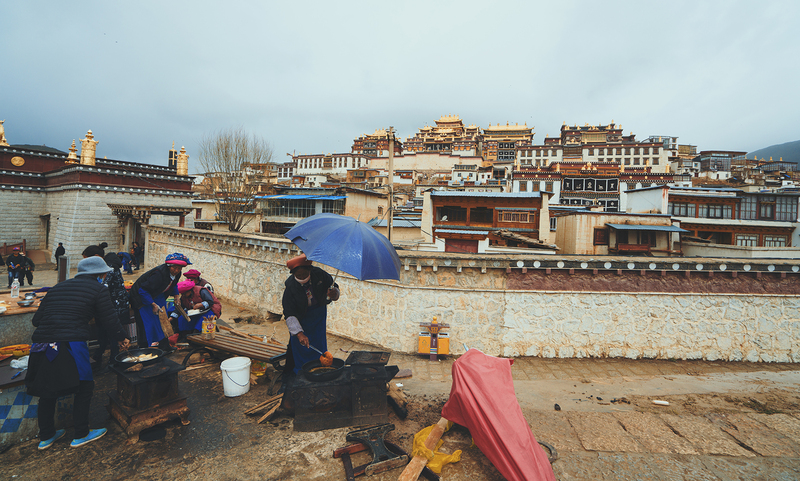 Shangri-La’s old town, much of which was burned down in 2014, is still recovering. 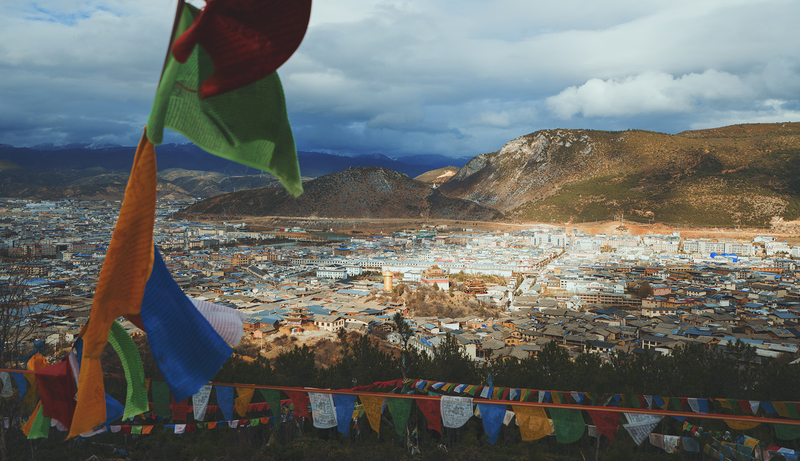 The Tibetan and Naxi influences give the town much of its color and character, distinguishing it from other Chinese (and even Yunnan) cities. Walking around the old town, even the same alleys multiple times, was a total enjoyment. I had wanted to get some aerial shots, but the proximity of the airport made that impossible. 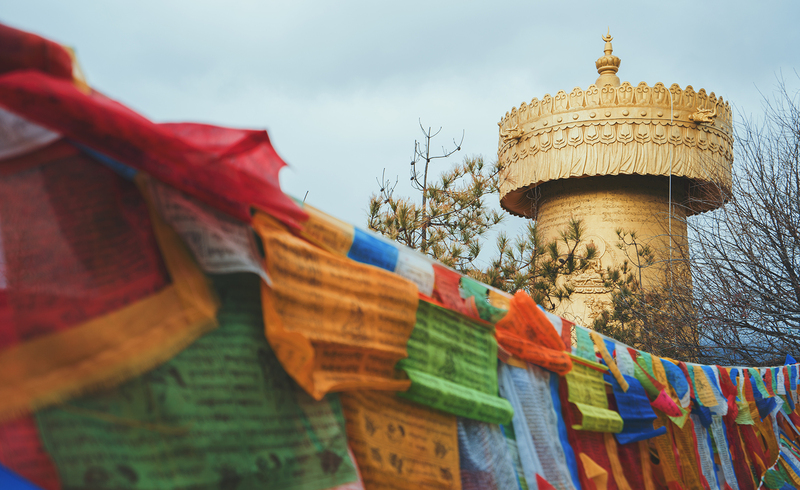 In any case, a giant prayer wheel (reputedly the world’s largest at 22 meters and 60 tons) also made it culturally taboo. 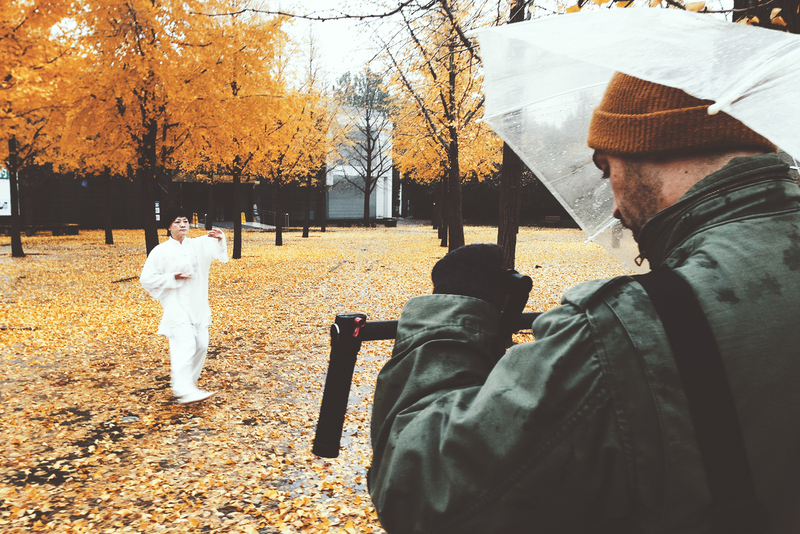 Therefore, I tried to be as unintrusive as possible when filming (even though it’s hard to be discreet filming handheld with the drone). The Chicken Temple at Shangri-La offers a magnificent view of the city. The day before we left for Tiger Leaping Gorge, we experienced one of the highlights of our trip: a group of Tibetan women pushing the giant prayer wheel. Hearing their sacred chants fill the air provided a humbling reminder of the site’s cultural and religious importance. 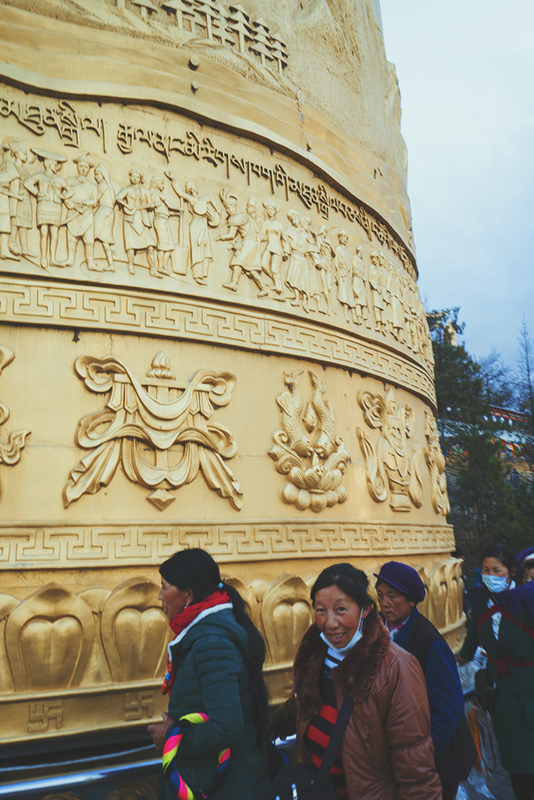 A local woman smiles as she chants and pushes the giant prayer wheel. The praying wheel needs 6 to 8 people to make it turn. 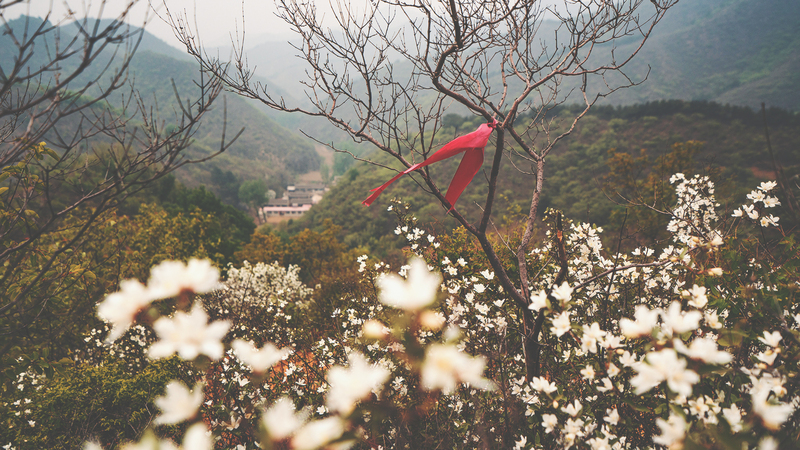 With its lush terraced mountains and mild tropical climate, Yunnan is renowned as China’s “coffee province.” In my mind, Shangri-La is home to the best coffee in the country. 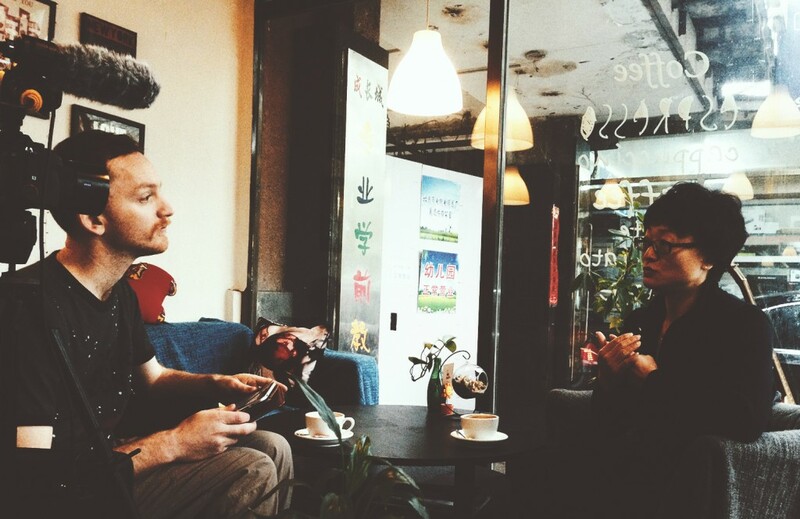 Upon seeing coffee shops in the old town, we remembered that Shangri-La Farms is the coffee we usually buy in Beijing. It was nice to see local coffee shops serving different blends, mostly Arabica variations. 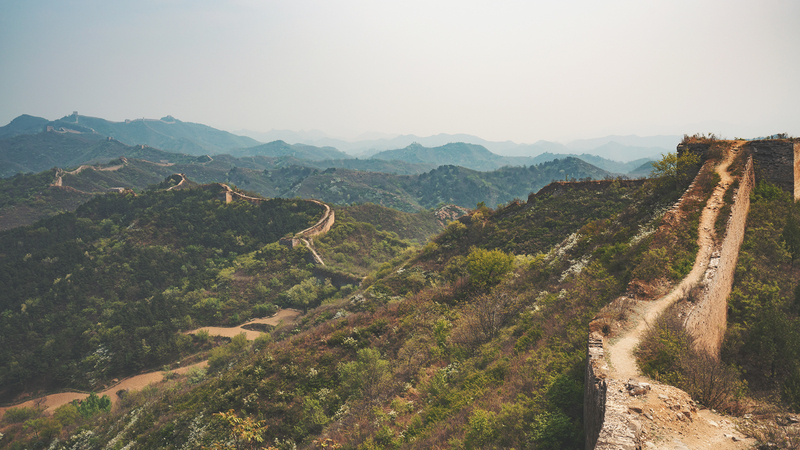 Even though tea will always be China’s national drink, coffee is growing in popularity and it’s great as a traveler to find decent places to unwind over a cup. 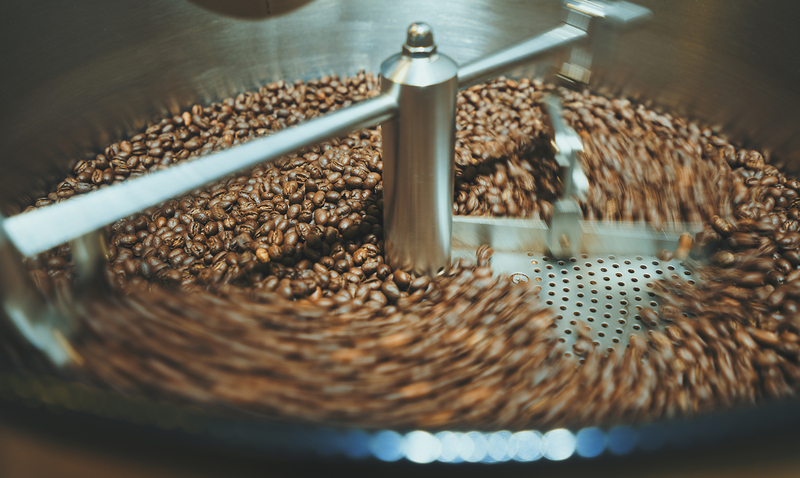 The rich aroma of local coffee fills many of the bustling cafes in Shangri-La. On our second day, we visited the Songzanlin Monastery. 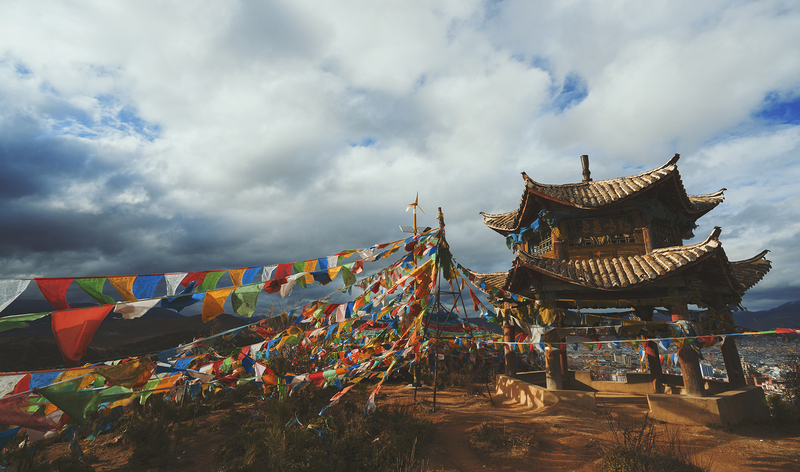 The largest Tibetan Buddhist monastery in Yunnan, it is located a 30-minute bus rides from the town center. Walking around its arching pavilions, I thought about how great it would be to film from the air. Nearby, a Chinese tourist shared this idea and was in the process of preparing his DJI Mavic for flight. However, a polite reminder from a temple official grounded any hopes of aerial footage before his drone (or mine) could get airborne. Fortunately, a short walk around a lake offered excellent vantage points for filming. 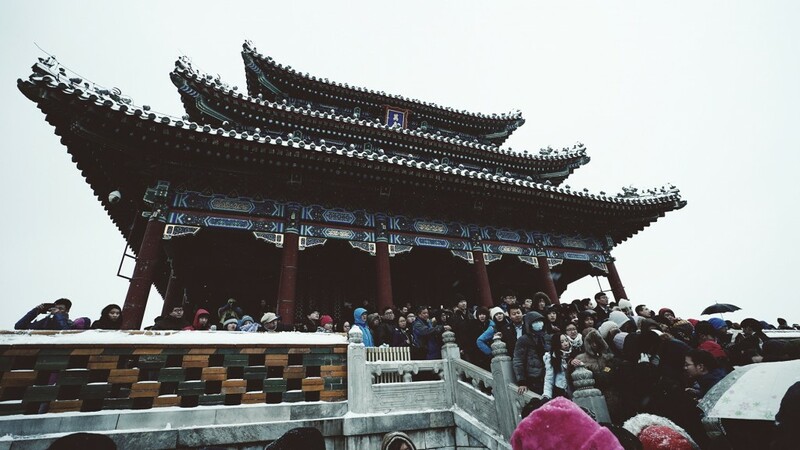 Songzanlin Temple was founded in the 17th century and fell on hard times during the Cultural Revolution. The monastery is a popular spot for vendors selling snacks and refreshments. On our third and final day in Shangri-La, we visited Potatso National Park, known in Chinese as “Pudacuo,” situated 22 kilometers from the county’s center. Although guesthouse staff recommended us to allow six hours to see the 1,300-square-kilometer park, we could have easily spent an entire day there. 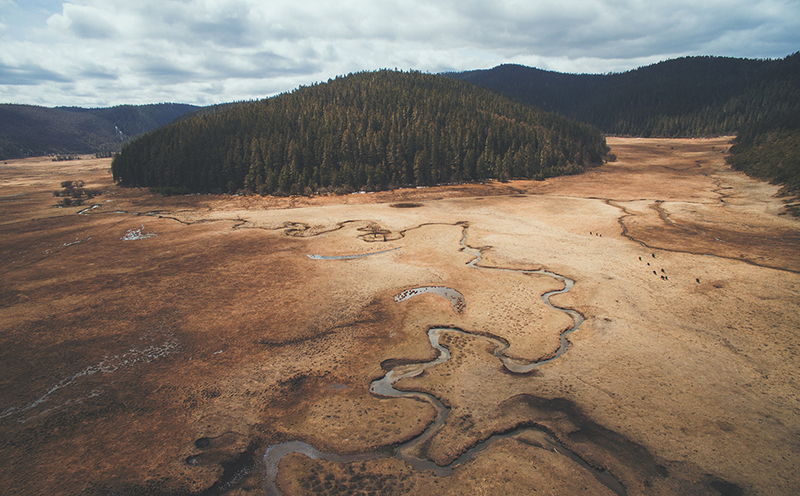 The impressive landscape of deep valleys, dense vegetation, and roaming yaks make it a perfect location for aerial video. 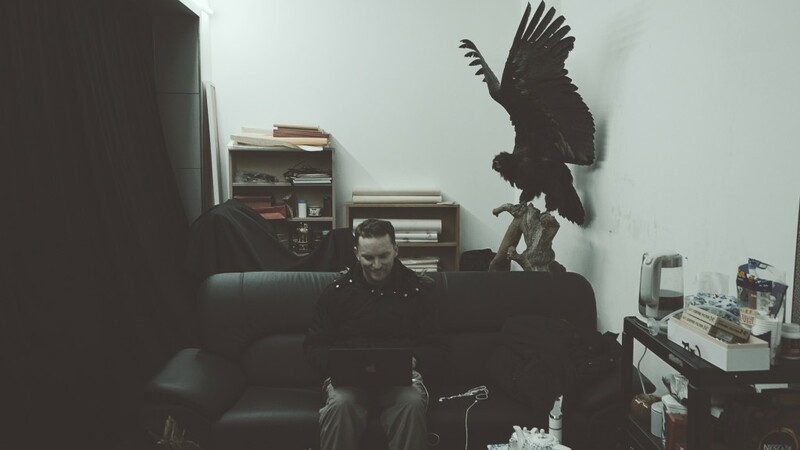 There are many options for creative compositions. I was conscious of not disturbing the tranquil surrounds with the noise of my Phantom 3 any more than necessary, thus I limited my amount of aerial footage. At an altitude of 3,500 meters, Bitahai Lake was the last section we visited at the park. Some tourists breathed from cans of oxygen sold at the entrance of the park, but the environment isn’t too challenging for a person of reasonable fitness walking at a steady pace. Shudu Lake is one of the first sights at Potatso National Park. 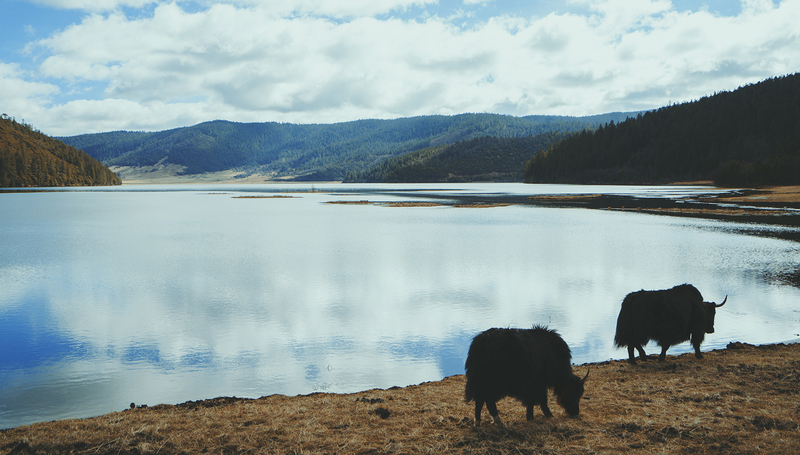 Yaks grazing near the lake are oblivious to tourists. Contemplating beautiful landscapes and breathing fresh clean air, all week. Militang Alpine Pasture offered the best view of the valley. 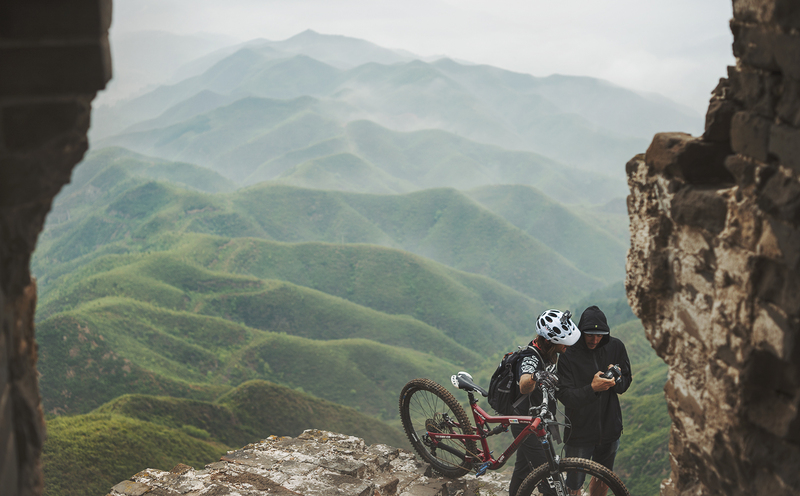 Quite simply, it is an excellent spot for aerial footage. Seeing vast plains dotted with yaks slowly treading around giant crystal lakes was breathtaking. Of course, the tourist bus doesn’t always allow adequate time to appreciate these views fully, so we simply waited for the next one to come along. Although the 20 minutes at each stop is enough time for a few selfies, it’s worth taking a bit longer if you’re not in a hurry; just hope the next bus isn’t too crowded! Militang Alpine Pasture is a must-shoot location for aerial photography. The final (and most anticipated) leg of our trip was Tiger Leaping Gorge, Yunnan’s most famous canyon. There is abundant online information about hiking routes and tours, which makes planning easy. From Shangri-La, it is relatively short bus ride. After arriving at Qiaotou, the small gateway town to the gorge, we went straight to the base of the canyon to see the might Jinsha River (literally “Gold Dust” River). We shared the road with trucks and a few vans that offered us rides to our guesthouse. 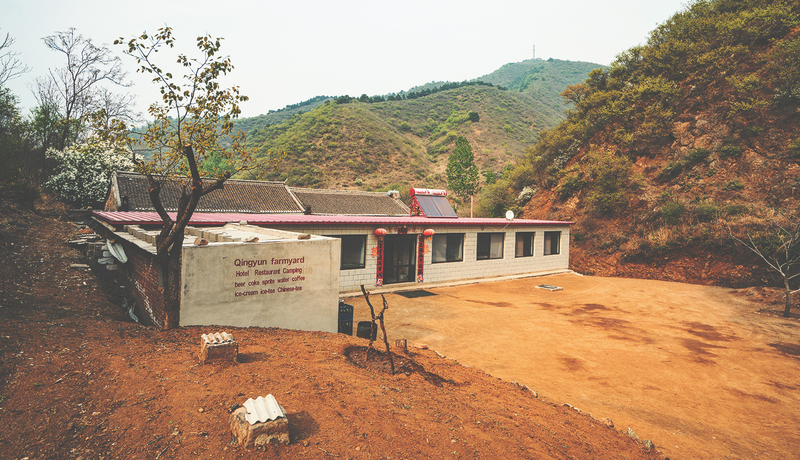 Construction is constant in China, even in remote mountainous regions. The sight of mining and roadwork by the river was present throughout the trail. 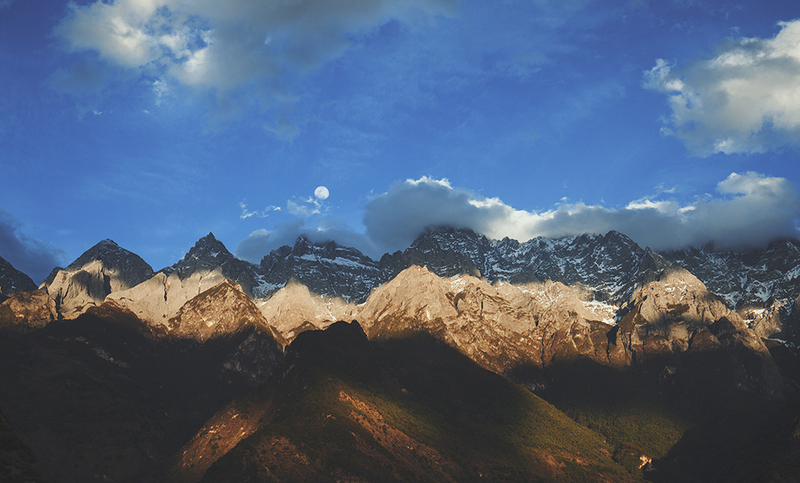 Jade Dragon Snow Mountain as seen from the beginning of the Tiger Leaping Gorge trail. Our four-day hike took us around the gorge, offering impressive views of Jade Dragon Snow and Jaba Snow mountains with the river below. While some people can hike briskly through the canyon in one or two days, I was glad to have more time to appreciate the natural beauty. It was certainly a good idea spending most of our trip there, rather than Lijiang or any other provincial city. Accommodation along the trail was comfortable. However, some “guesthouses” are more accurately hotels, such as Half Way and Tina’s Guesthouse. The mountainfolk hospitality is less apparent at these business-oriented establishments. By contrast, the Naxi Guesthouse and Sean’s Guesthouse were warm and cozy, not overcrowded, and served excellent local cuisine. From Sean’s Guesthouse, there is a two-hour trail to a hanging bridge. It’s an ideal spot for those wanting to get close to the river, but be safe! The views from the first stop of the hike were the best. 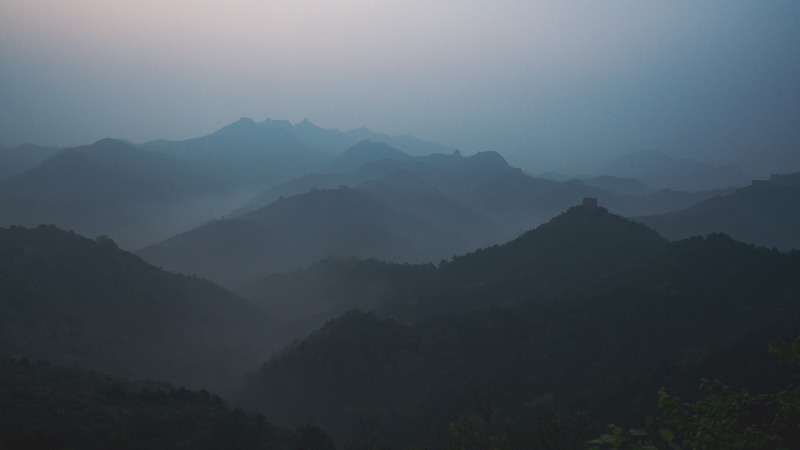 After leaving the next day from the Naxi Guesthouse, we knew we wanted to go back and enjoy the sights over a leisurely morning. 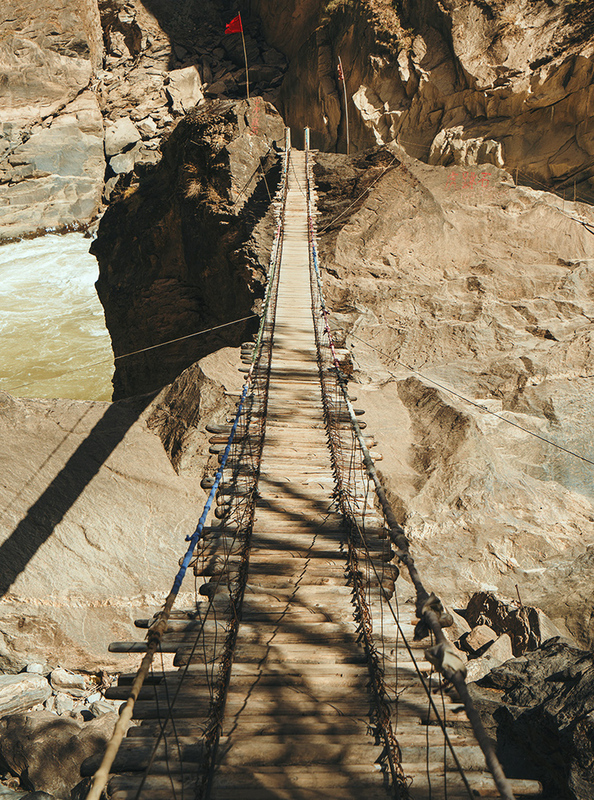 Locals charge a small fee (5 RMB) for tourists to cross a wooden bridge at Tiger Leaping Gorge. Jade Dragon Snow Mountain, so named because of the shape its peaks resemble. A final highlight was a close encounter we had with the local wildlife on our way back to the guesthouse: a flying squirrel that descended the hillside through the air, landing nimbly on a tree. Unfortunately, it all happened too quickly for me to capture on camera! 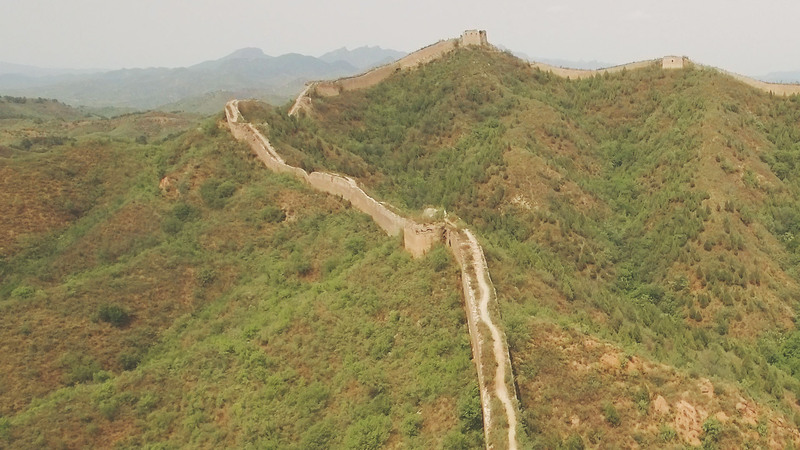 After visiting this part of Yunnan, I am even more eager to explore other areas of the province, like the agricultural landscape painted by the red soils in Dongchuan and the yellow fields in Luoping. 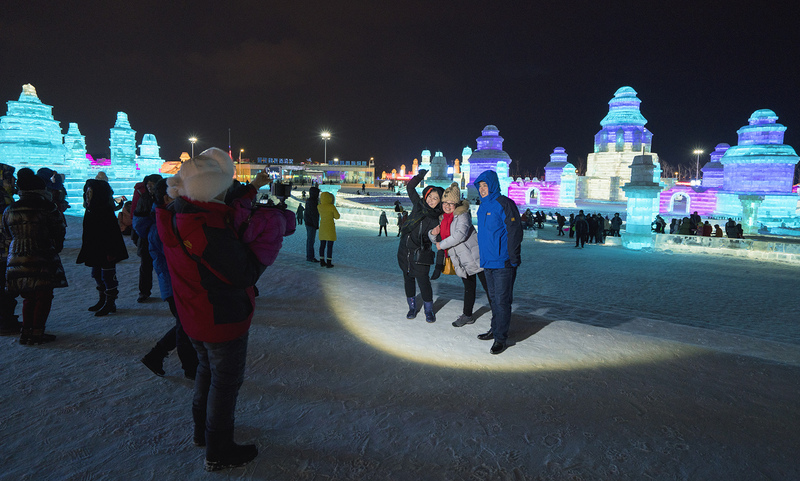 Since 1985. the Harbin Ice Festival has attracted tourists from all over the world. 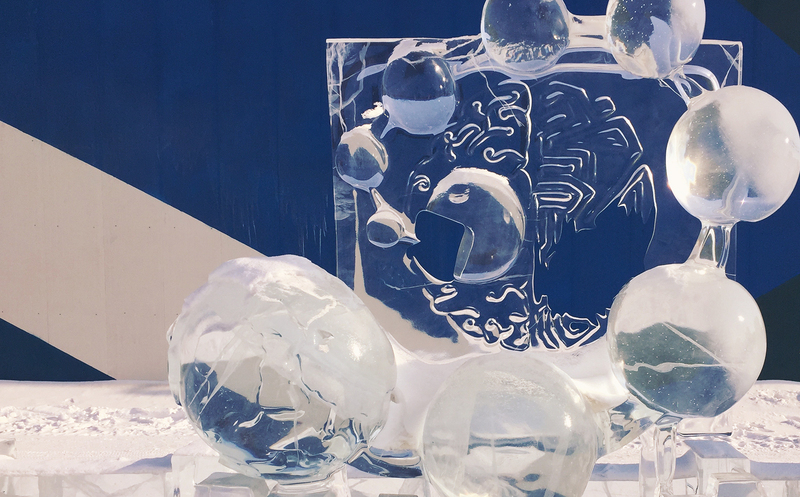 Ice sculptors travel to the northeast Chinese city every year to create their temporary masterpieces. It’s an event I didn’t want to miss this year — and one I’d like to revisit in future. 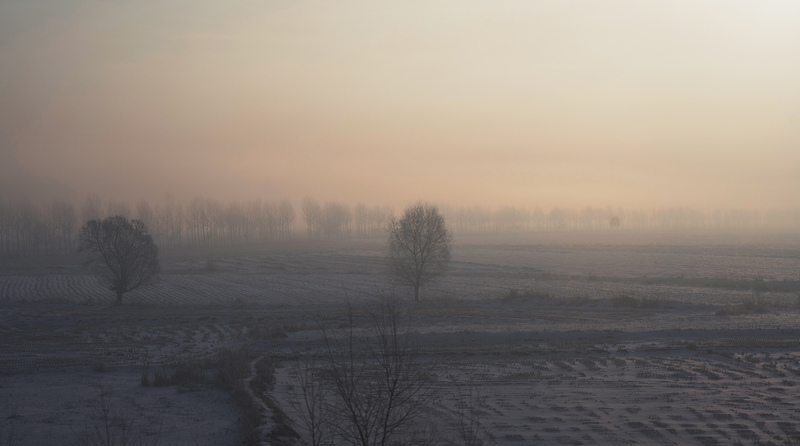 We arrived in Harbin by train, leaving on Friday from Beijing South Railway Station and getting there Saturday morning. I barely slept a wink, but seeing the snowy landscape through tired eyes as the train drew closer to our destination made the nine-hour trip worthwhile. 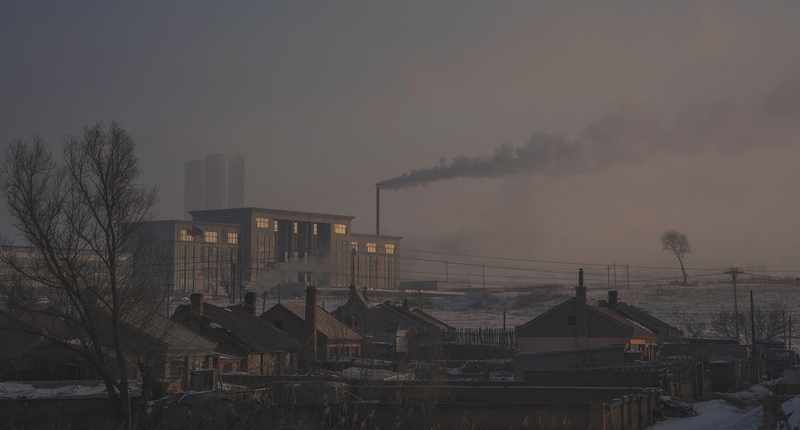 Before the winter wonderland, industrial sights greet visitors to Harbin from the train. But before long, desolate snowy landscapes come into view. Giving ourselves just one day to visit the parks, we decided not to waste a minute. We immediately checked-in to our hotel, dropped off our bags, dressed warmly, and left for the island where the main parks are. 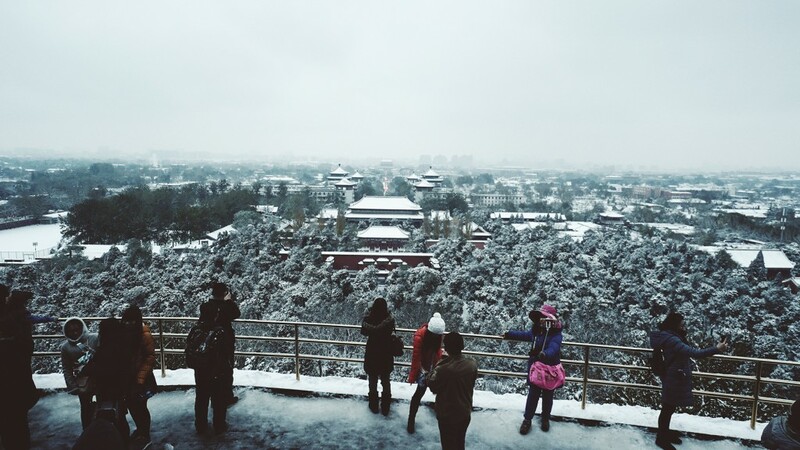 There are two main sites that are mandatory to visit: Sun Island and Ice and Snow World, both of which are close to each other. Taking a cab to the island across the Songhua River was quick and convenient. Taxi drivers in the city drive as if they are racing against the clock. Once at Sun Island, I immediately noticed the emptiness of the entrance. A giant square, normally packed with tourists lining up to buy tickets, was conspicuously empty. It was March, after all; winter (and the tourism boom) had melted away. 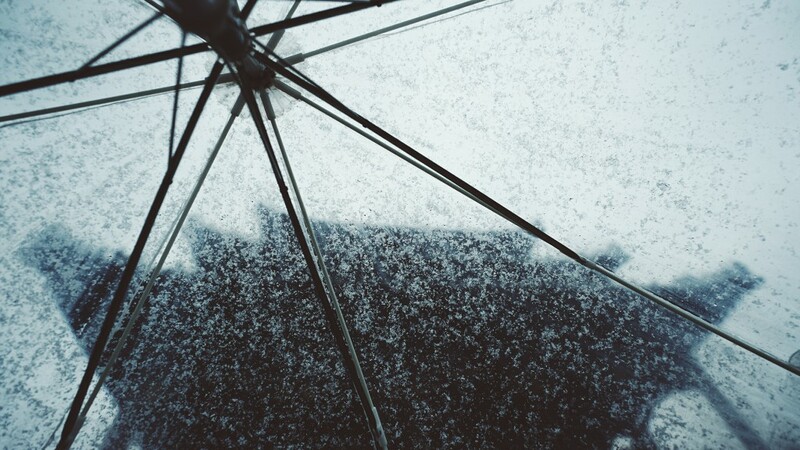 Although many snow sculptures were damaged, strolling through the park without the masses was a pleasure. 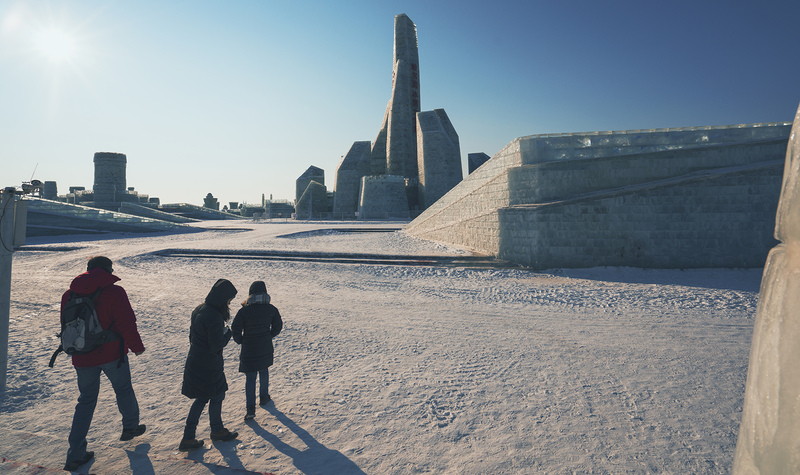 Snow sculpture in the end of Sun Island. With winter almost over, sculptures enjoy their final days in the sun. 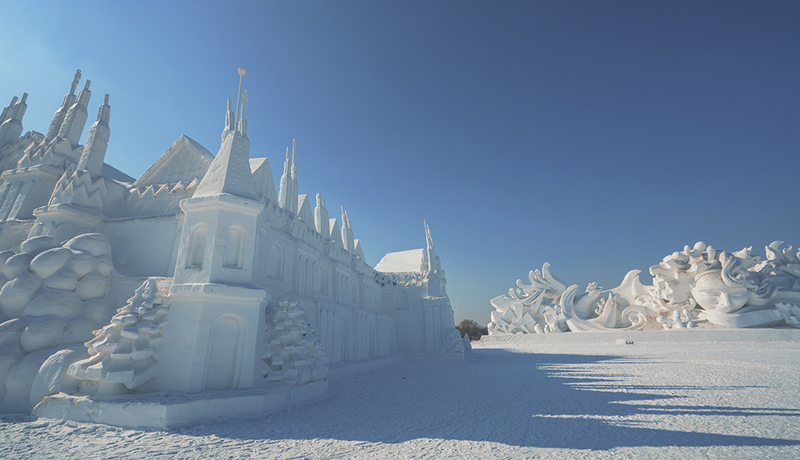 With hordes of tourists no longer an issue, March is an ideal time to visit the Ice Festival. The aptly named Snow Island was fun to visit. There were plenty of sculptures in the vast park. Although most artworks had deteriorated, the sketchiness of the sculptures and the desolation created an eerie yet alluring atmosphere. After walking around the park, we asked a woman at the entrance how to get to Ice and Snow World. To our surprise, she said that the park was closed, it “wasn’t cold enough anymore,” apparently. It was odd logic and our research indicated it should be open, but in China it pays to double (or triple) check information, even for reliable sources. However, we had another surprise: it was open. After leaving the park, we went to an aquarium across the road where a woman told us the good news. A short while later, we arrived at Ice and Snow World. Entering an otherworldly icy planet. Pac Man resurrected and “frozen” in time. 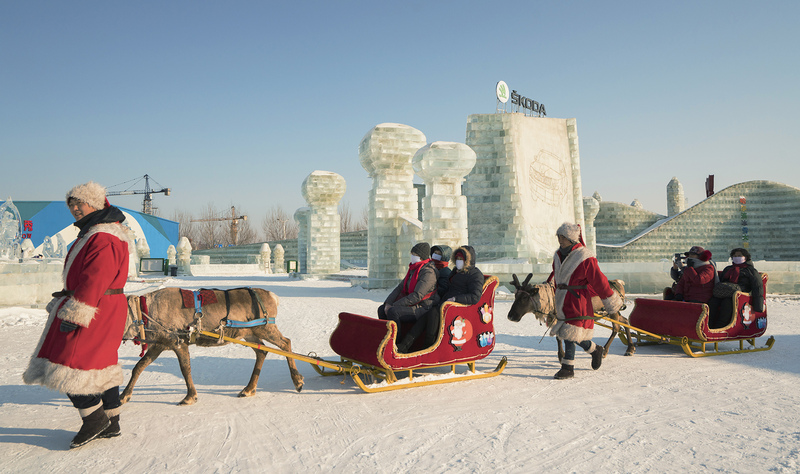 Ho, ho, ho from Harbin, where Santa and his reindeer spend their off-season. 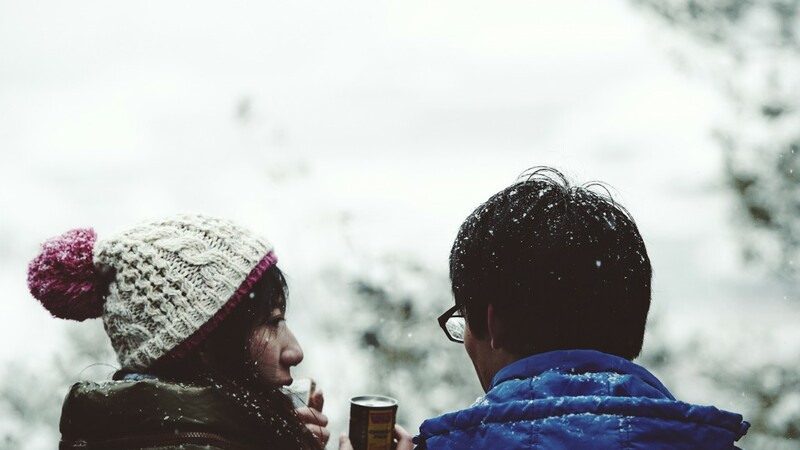 Once in Ice and Snow World, we waited for sunset at one of the restaurants. 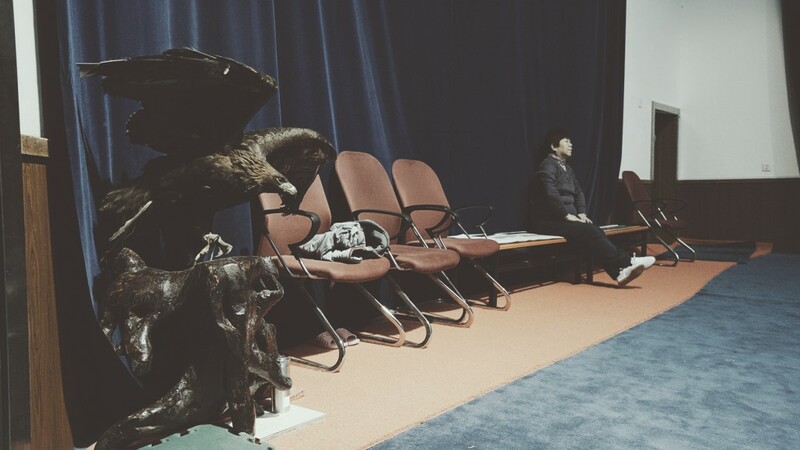 Heat radiated from the floor, allowing us to thaw after being exposed to -17 C temperatures outside. As darkness fell, neon lights went on and a selfie frenzy ensued in front of the illuminated ice constructions. 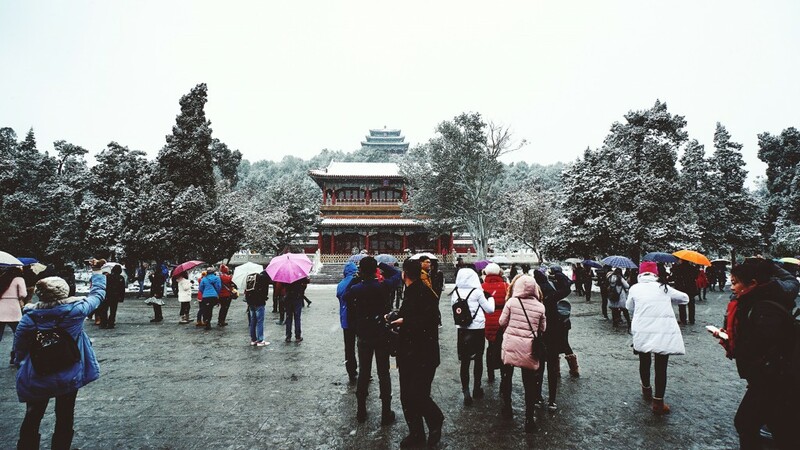 It was no longer a quiet snowy park, but a typical Chinese tourist attraction bustling with activity. When the sun goes down, the ice city lights up. Sunday was a day to wander around the city, including along the Songhua River. 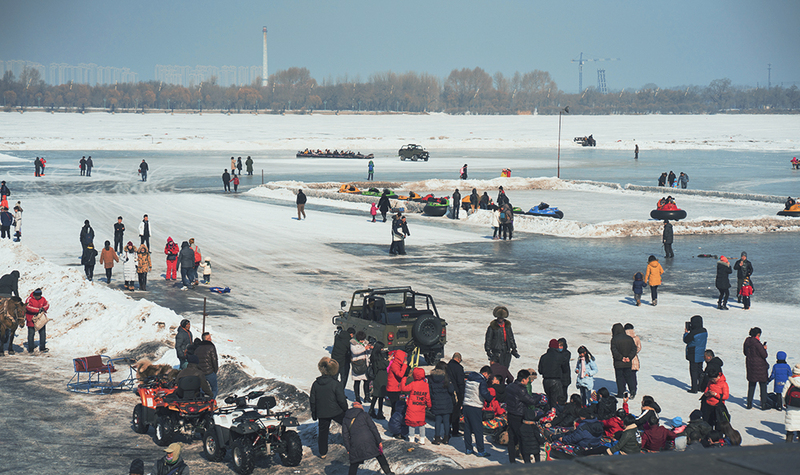 The frozen river was a winter playground, where revelers got around on ice skates and hovercrafts. We crossed the river and headed to the entrance of Sun Island. Fortunately, recent snowfall helped making the river less slippery. Crazy amount of activities in Songhua river. On previous skiing trips, I had experienced the fast drain of battery power due to cold climates. This time, I didn’t have to worry about keeping my batteries warm as it wasn’t that cold. As long as they are in a warm pocket, they will keep their charge. It is only in the middle of winter, when it gets to -30 C, that special care is required. The photos in this blog post were taken with the Zeiss 16-35 and a Loxia 80mm lens, Sony a7R2 camera body. 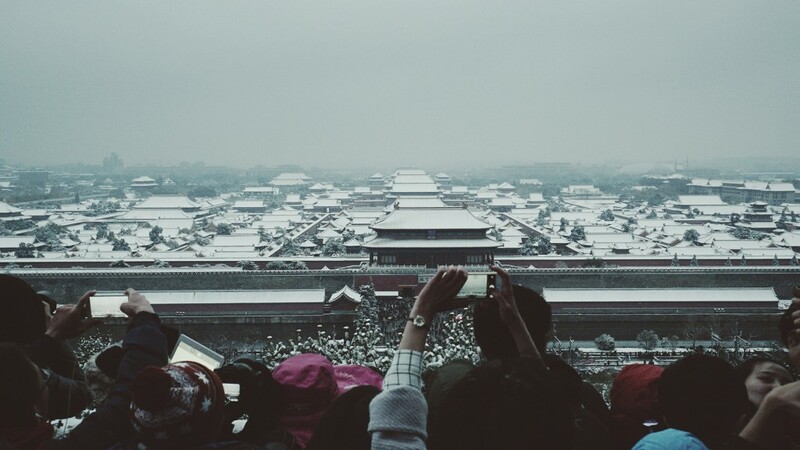 There many “cookie-cutter” Chinese cities that visitors find to be indistinguishable. 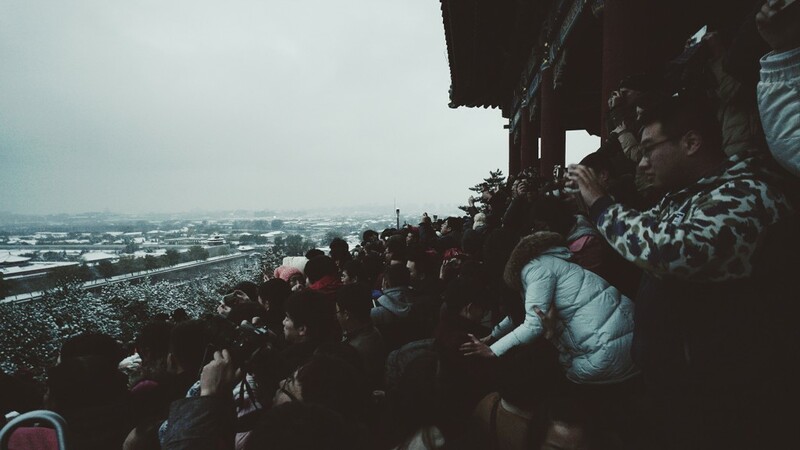 Their urban layout, overwhelming crowds, and obligatory temples blur the lines between one city and another. 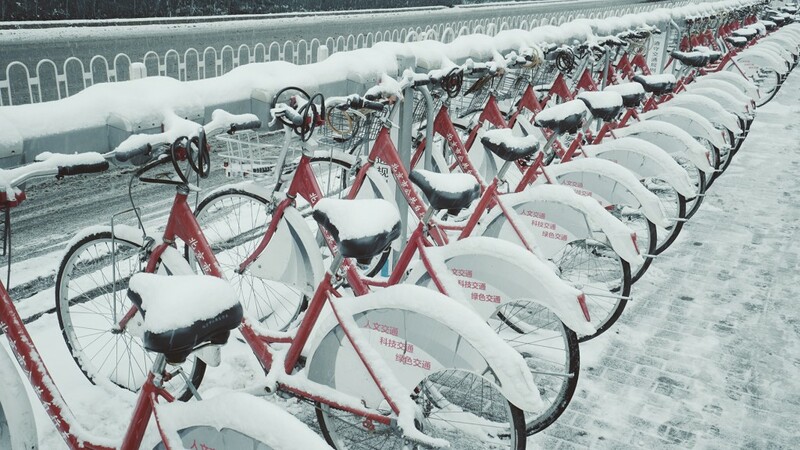 Harbin, however, stands out as unique for more than its extreme weather and remote location. 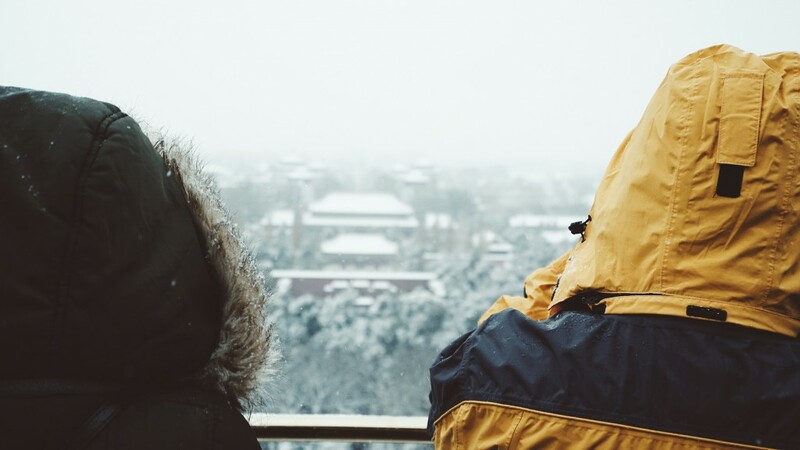 Its Russian influence, evident in architecture and buildings with Cyrillic script, and global reputation, and reputation as a winter wonderland make it a city worth visiting. The sign on the door clearly said “Reservations Only,” but we were too hungry and entered anyway. The six customers turned around in unison, jaws and eyes frozen on us. I asked if we could eat, prompting one of the customers to speak to the chef. “How did you find the restaurant?” he asked. “It showed up on Google Maps,” I replied. After some conversation in Japanese between the customers and chef, a woman told us to sit and wait. While we didn’t feel like we were intruding, there was a sense we were a slight inconvenience. Fifteen minutes passed. Our uncertainty (and hunger) grew as all but one of the customers gradually left the restaurant. Eventually, we graduated to the sushi bar. 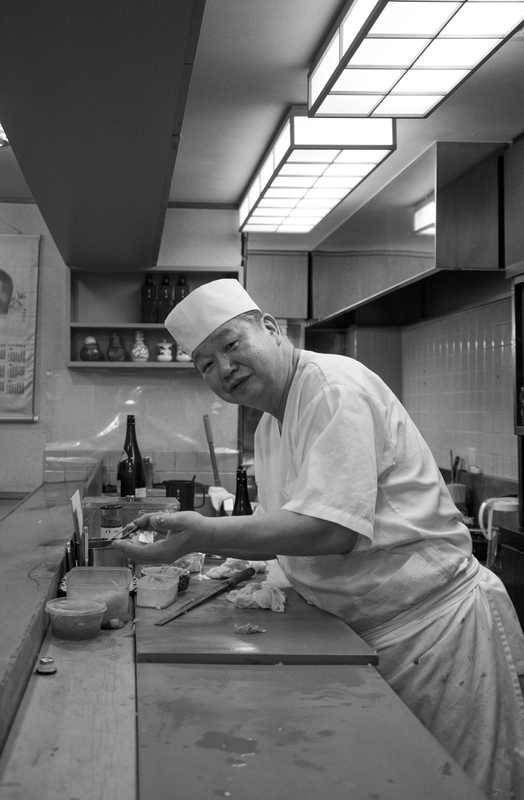 “Only sushi, OK?” chef Susumu Yajima grunted. It was more than “OK”; it was exactly what we were craving. 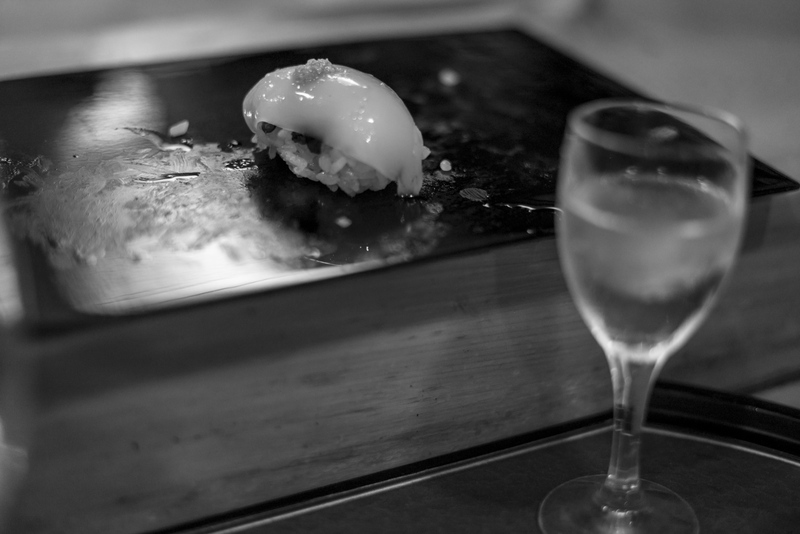 Chef Susumu’s serious tone indicated it might be an intense and strict dinner. 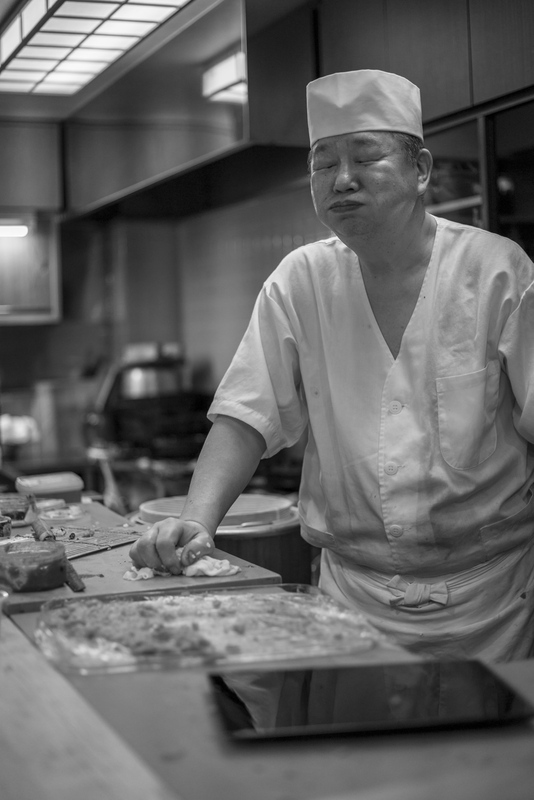 He served carefully crafted sushi on shiny black plates, giving us clear instructions. After the first piece, I was in sushi heaven. The flavor was beyond oishi (delicious). As soon as we finished the beer we had, he rinsed our glasses and served us sake from a big bottle. Each piece of sushi was now paired with small sips of Japanese rice liquor. His sake accentuated the richness of each bite. After a few plates, Chef Susumu again asked how we found his restaurant. 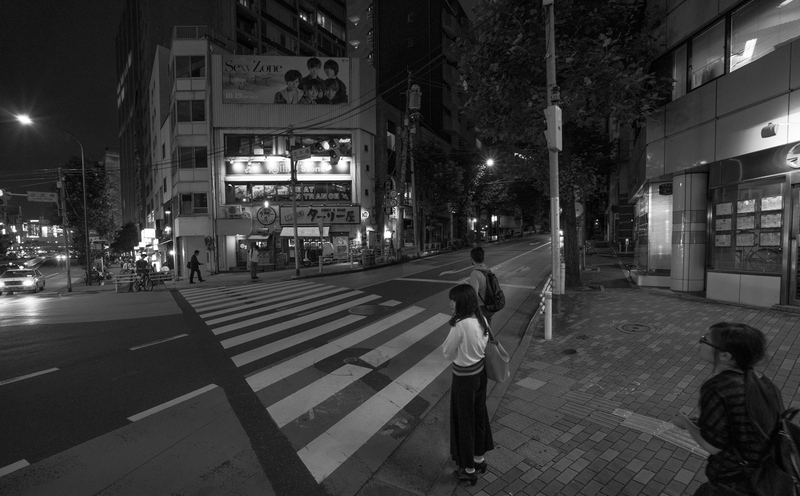 I repeated our story: we had found it on GPS, and liked that it was secluded from busy streets. Chef Susumu explained proudly that his restaurant had been the subject of an article titled ‘The Ten Commandments of Sushi.” Bringing it up on an iPad, he asked if we had read it. We hadn’t, but noted it was indeed an impressive endorsement. We talked about our trip to Tokyo, including sites we had visited, as we continued eating. 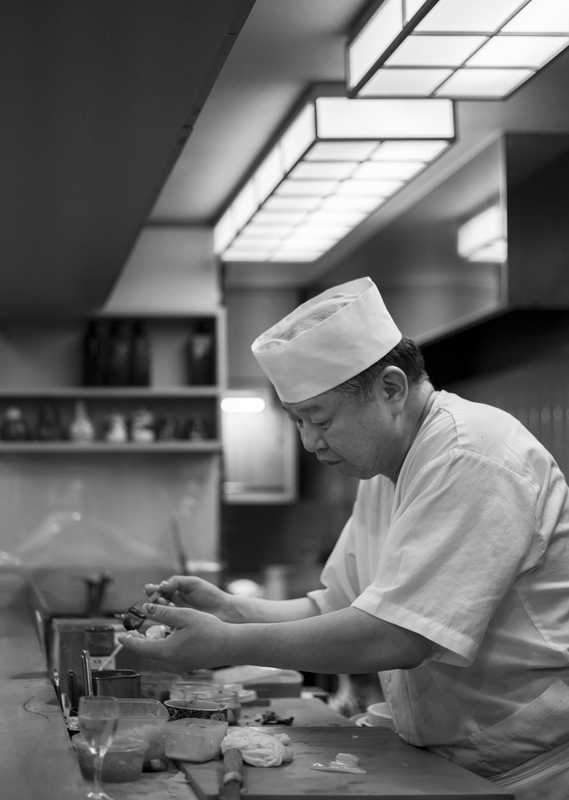 Chef Susumu filled us in on his restaurant’s history; it was a local family business with an international reputation. Our conversation was possible thanks to Yoshiko, his wife, who along with a lingering customer spoke great English. Not only was the sushi was excellent, but the natural and honest exchange we had with Chef Susumu and Yoshiko made dinner more than just a memorable meal. Earlier in the day we had eaten sushi at Tsukiji, Tokyo’s famous fish market, which Chef Susumu dismissed as an “amusement park.” While we thought the sushi there had been great, it was no match for the Yajima experience. 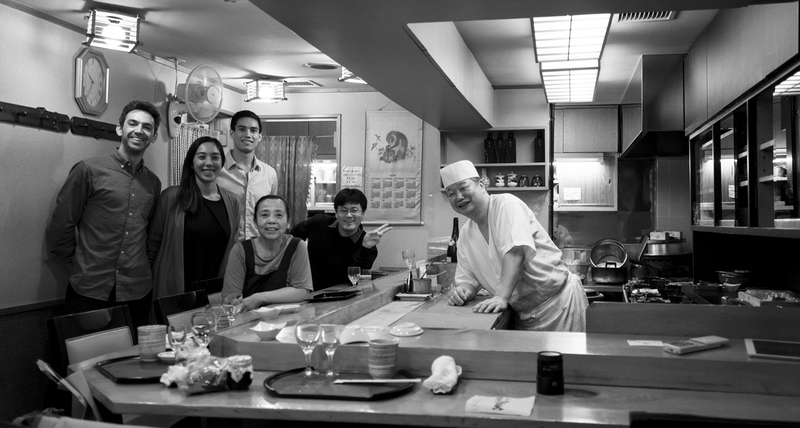 A must-see culinary destination in Tokyo if you want to experience authentic sushi. Just be sure to reserve in advance! 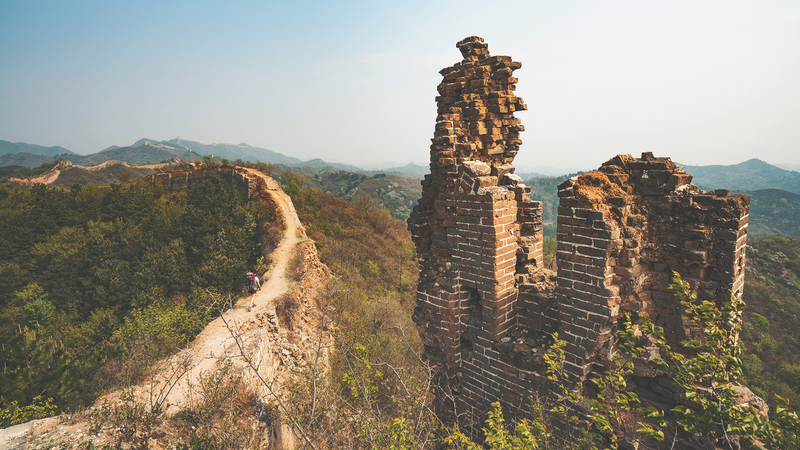 The Gubeikou section of the Great Wall is appealing for two main reasons: it has never been reconstructed, thus it has retained its original identity; and (best of all) it isn’t a tourist hot spot. 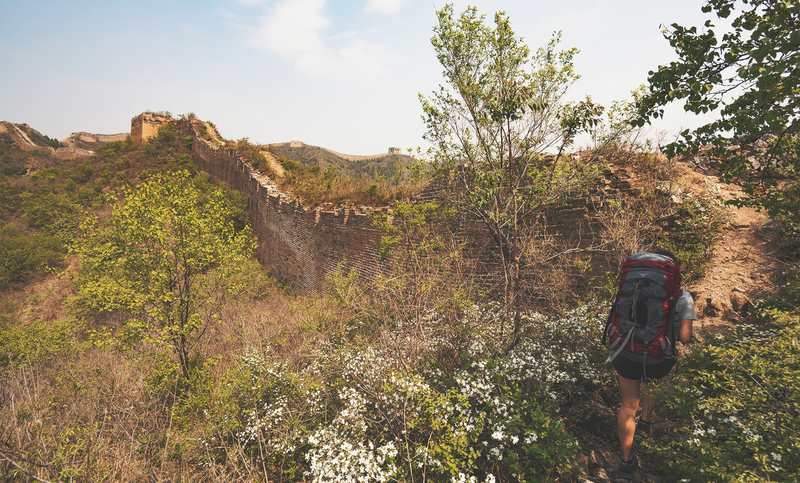 It is an enjoyable hike with a variety of trails – some paths snake along the Wall, while others delve into the valley. Our journey from the city to the Wall was almost entirely by public transportation, starting at Dongzhimen bus station. 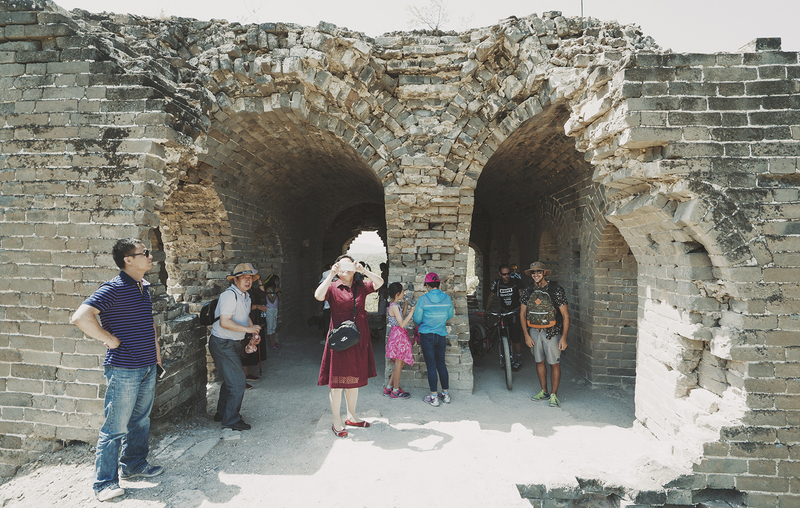 Once the bus reached the first stop just outside of Miyun, a woman climbed aboard looking for tourists. She tried to get us to join her minibus, but we shooed her away and stayed with our faithful public transportation route. We asked the bus driver where Bus 25 to Gubeikou departed, and he kindly told us where to get off. An hour later, we arrived at Gubeikou. It consists of a main street with a couple of side-streets. We headed north past a big police checkpoint, and found the trail about 500 meters ahead. On the left (west) side of the road was Wohushan, while on the right (east) side was the side we wanted: the Panlongshan section. The side-street next to the gray building pictured above marked the start of our trail. We followed a little road flanked by houses, leaving the town behind as we headed east. After 15 or 2o minutes, we reached a house with two dogs whose barking was less-than-friendly. 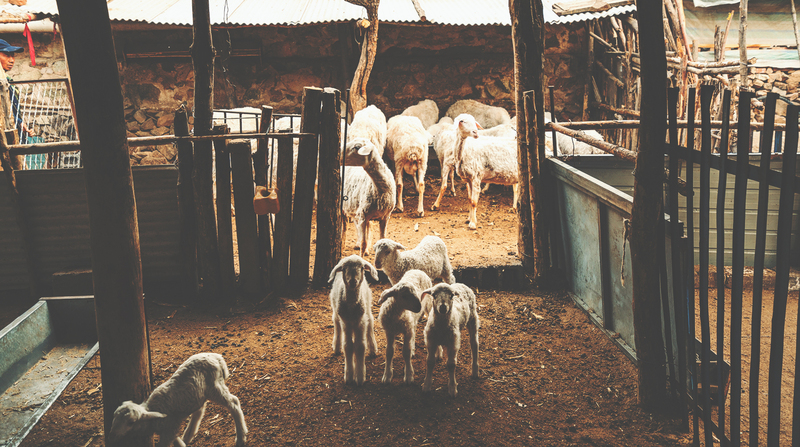 It was sad – yet also a relief – to know they were chained a safe distance away. Nevertheless, I picked up a rock to defend ourselves just in case. I couldn’t see where the trail continued, so I yelled “ni hao” a couple of times to see if there was anyone in the house. 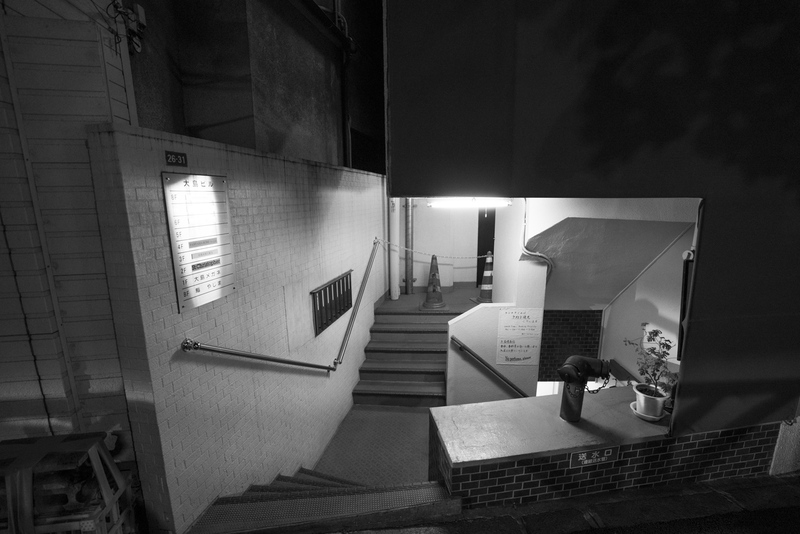 After a while, a man walked out and gestured for us to continue along the left side of his house – right between the two dogs. It was awkward politely asking the villager for directions while still holding the rock. Hopefully, you won’t have to encounter the same dogs on your hike. The walk along this section of the Wall is relatively easy and flat. 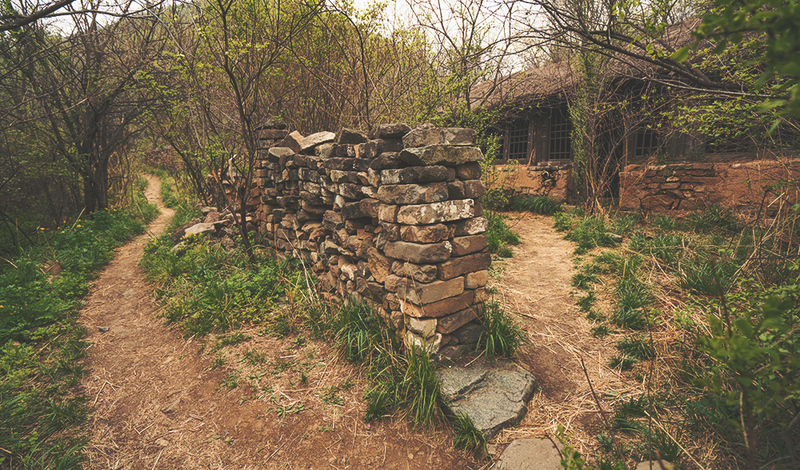 Detours and the trail are both well-marked with signs or landmarks left by previous hikers. These are particularly helpful and include colored points on rocks, bottles on tree branches, and red cloths. They aren’t always clear, but figuring out the way is part of the adventure. After reaching the fortified section, we had to take a detour through a well-signed path. I was thankful to have different terrain under my feet as we walked past vegetation and some crops. A mysterious, old hutch along the way provided the perfect location to rest and refresh for a while. 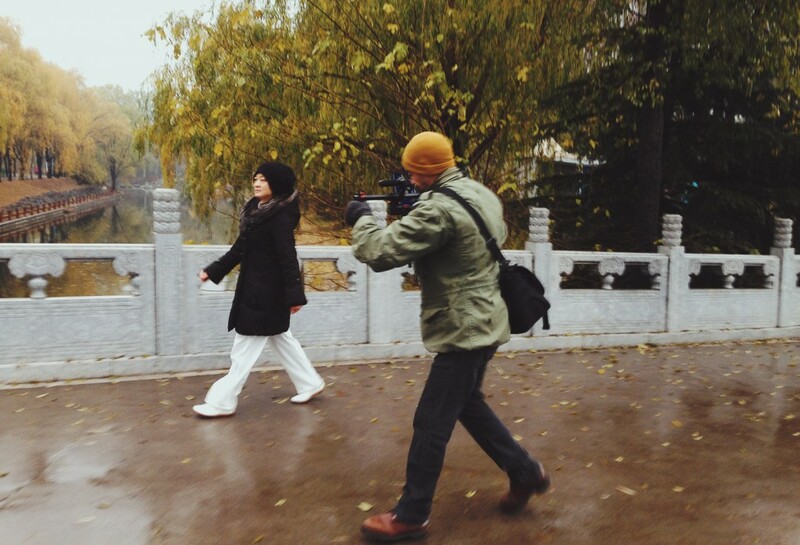 After an hour-long walk we reached Qingyun Farmyard. It had rooms available, drinks, and food. Unfortunately, it was closed so we could only stare lustfully at the refrigerated beer through the door. 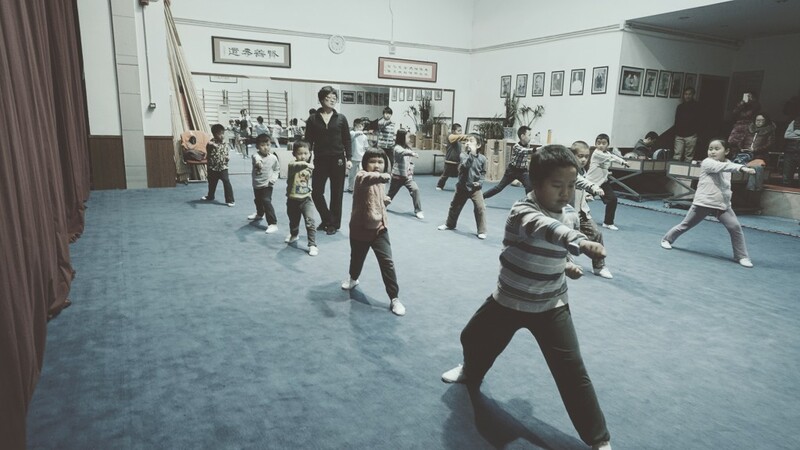 I did a quick check and yelled a couple “ni haos”, but alas – nothing. It was time to look for a place to camp, so we went up the hill toward the Wall. Along the way we spotted an old woman lighting firecrackers (to scare birds, we assumed). I asked her if we could buy some stuff from the store in order to build up our rapport before asking if it was OK to camp by the village. We walked with her to the village and, after seeing that the hostel was still closed, she pointed us to her place. We followed and she had two baskets with warm beer bottles. She handed one to me. I asked her how much. 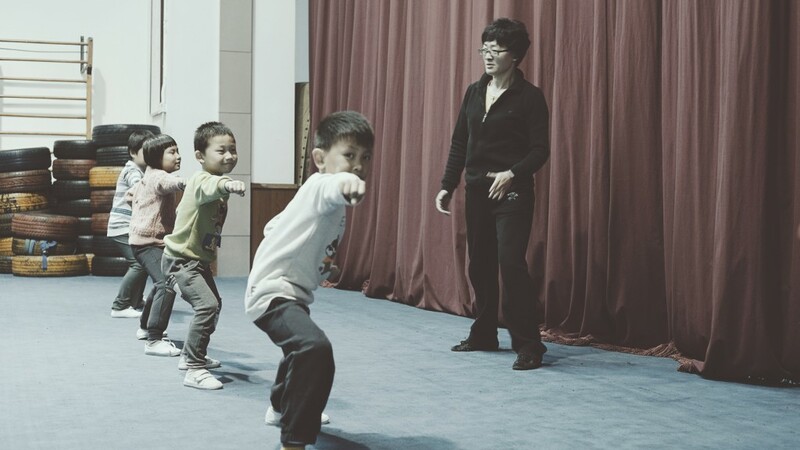 “Five yuan,” came her reply. 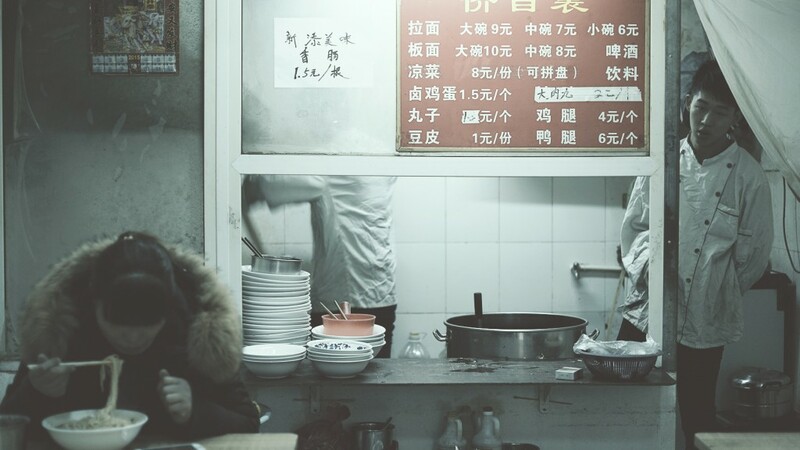 I gave here 10 yuan, but there was no change – she didn’t have any. By the time we found a 5 yuan bill, it was too late the get the change back. 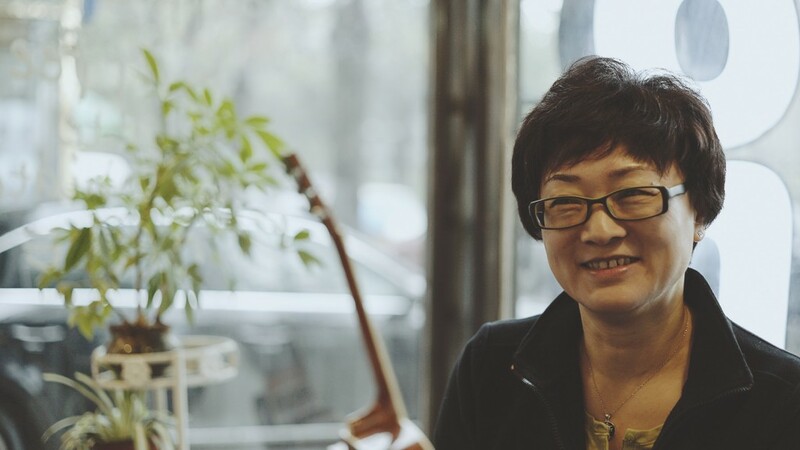 She smiled and pointed at her closed pocket with the 10 yuan bill. How naive of me. Our options were to either camp by the village or up by the Wall. We considered both and decided to camp by the Wall. 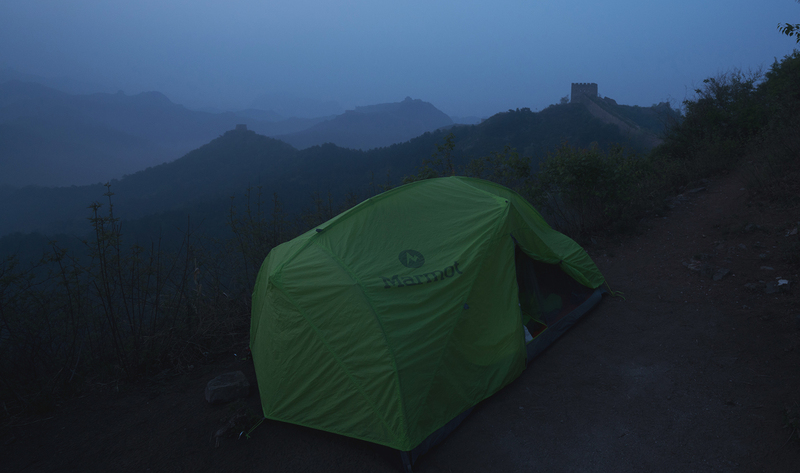 It was chilly at night and loud, courtesy of music blaring from a village down in the valley. A lit section of the Wall – possibly Simatai – could be seen in the distance. 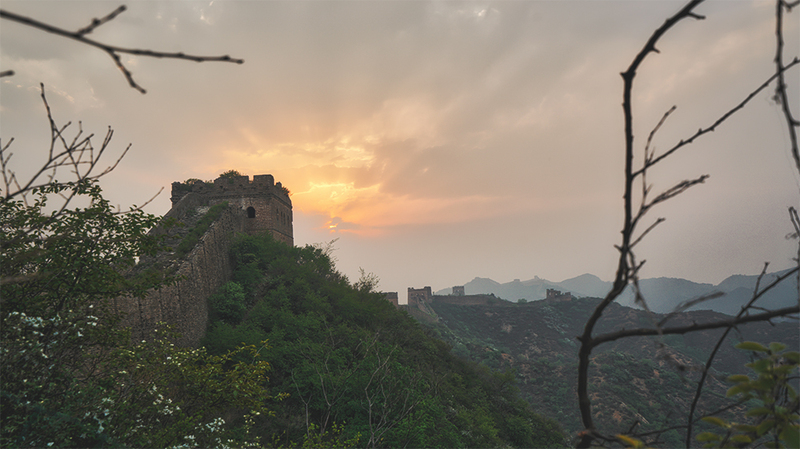 In the morning, the sun pierced through the fog and pollution as we headed to the Jinshanling West entrance. Ready to see civilization, we started the walk at 8:30am when the entrance opened to the public. 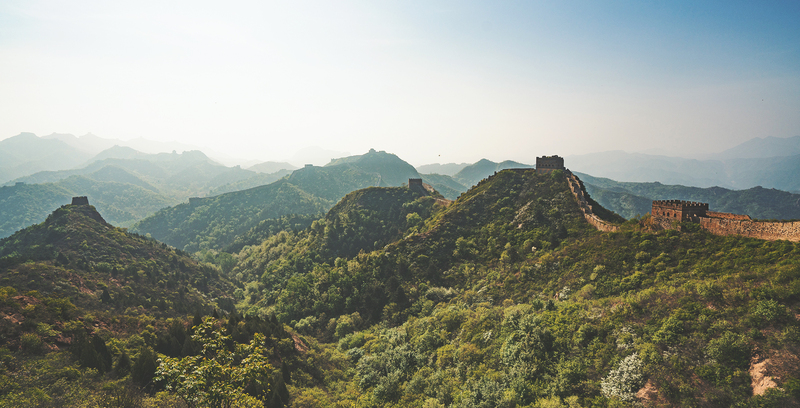 If you’re planning to hike along this section, allow more time for it than the Gubeikou area. 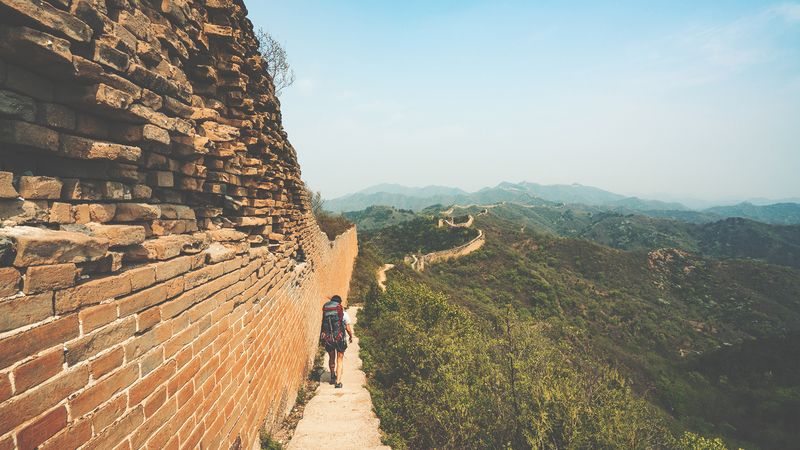 While it has been restored (unlike Gubeikou), there are some steep stairs as you get closer to the touristy area – not that it seems to bother locals running up and down. 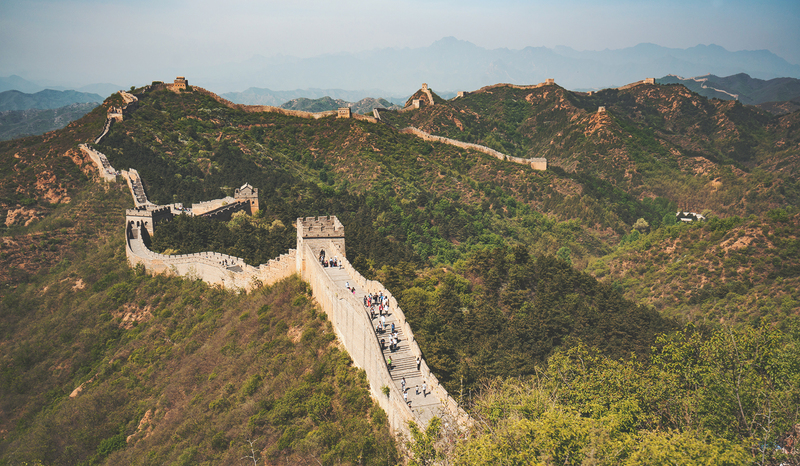 The first sections of Jinshanling don’t have many people; tourists usually don’t go all the way to the West entrance. For a two-day hike, this last section might be a little tough. 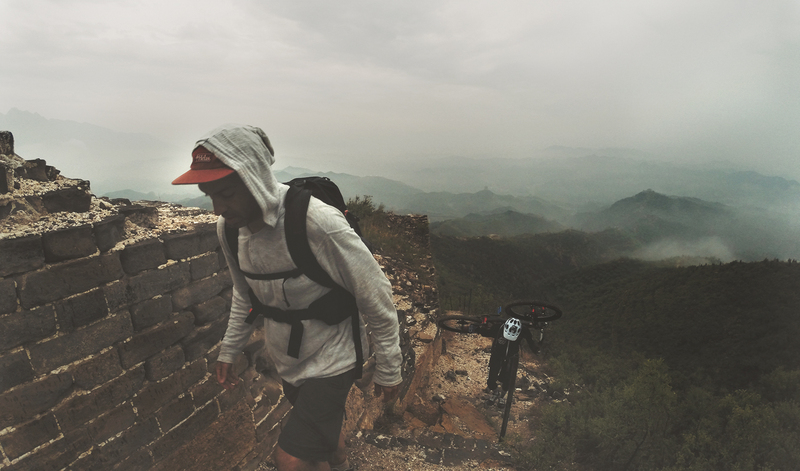 Our legs were desperate for a rest after completing the East Gubeikou section. 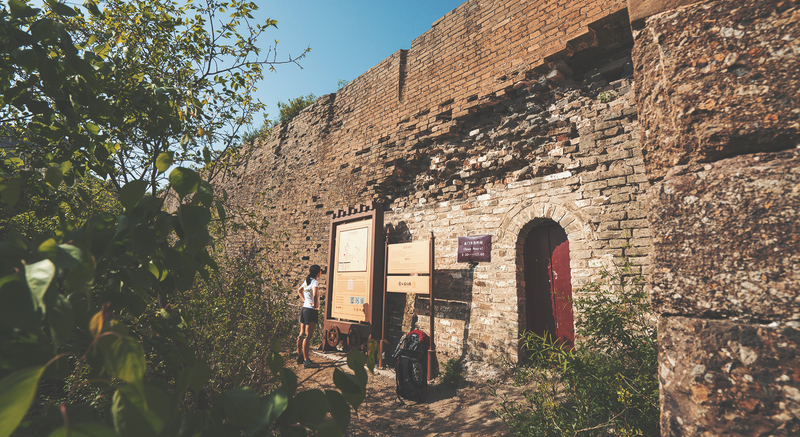 We left the Wall via the Houchuankou Tower, taking a paved trail down to the parking lot. 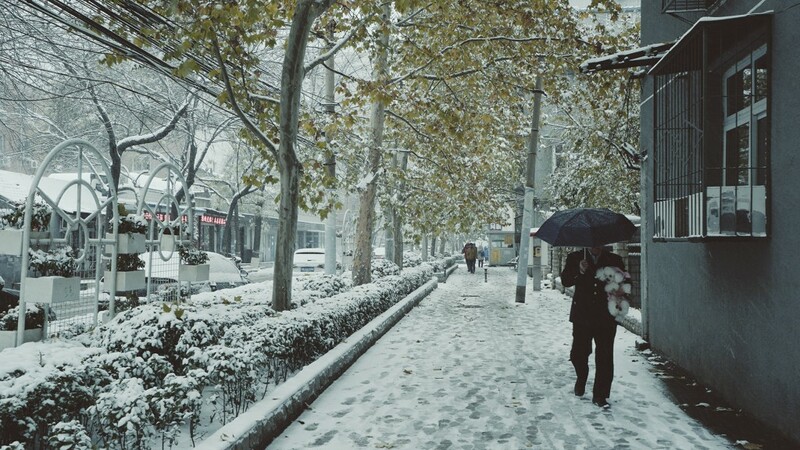 From there you can walk for 30 minutes along a road to the bus station, where a tourist bus goes to Wangjing West in Beijing. This isn’t a safe walk, however, so we hitched a ride to the bus stop with a driver for 10 yuan. I highly recommend this trail. 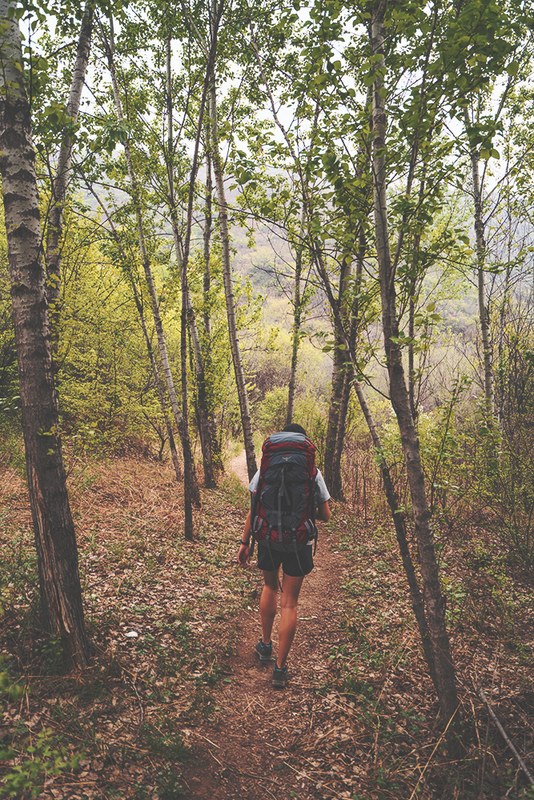 Just remember to be environmentally aware, avoid littering, and say hi to local hikers (and villagers)! This happened over a month ago but I thought it would be worth posting about it. 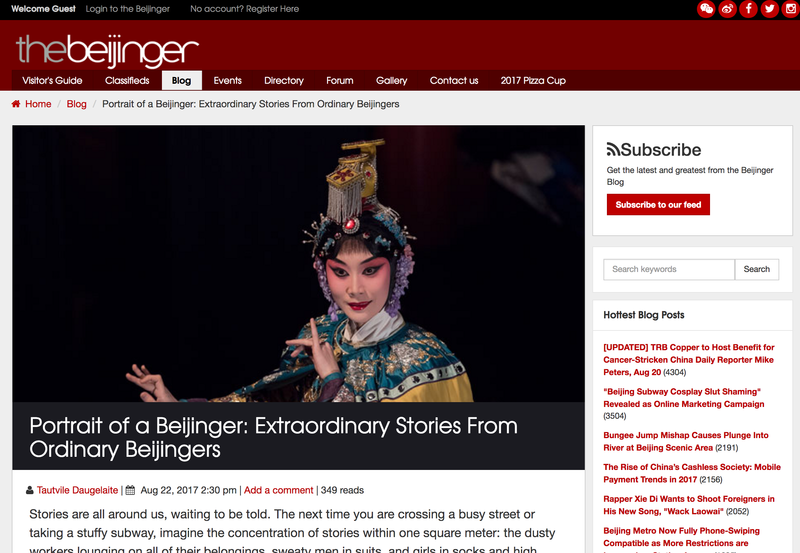 Reuters contacted me about the Wulingyuan video that I made last summer. After they posted the video on their news site, a variety of news outlets re-posted the images and wrote articles about the park and mostly about it’s similarities with the world of the movie Avatar. 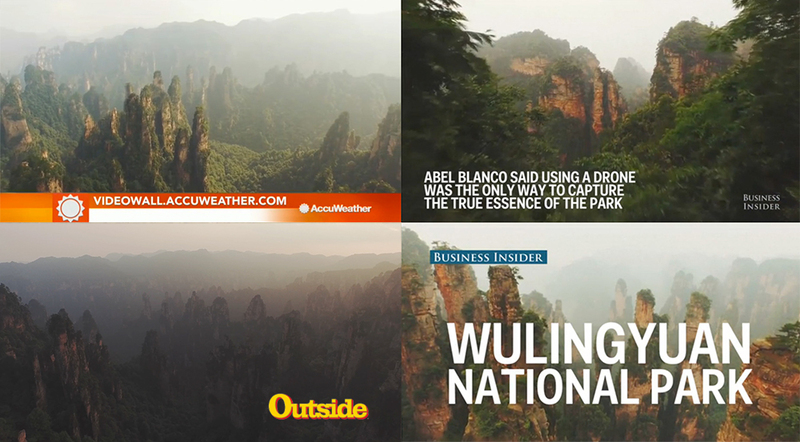 Business Insider, Accuweather, Natgeotraveler, Outside, are some of the websites that featured the video. It was great to see my work shared! 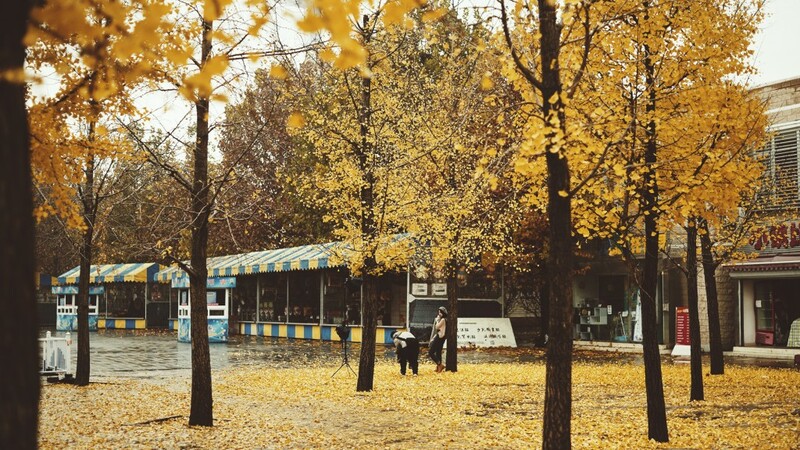 Fall in Beijing is the nicest season of all. 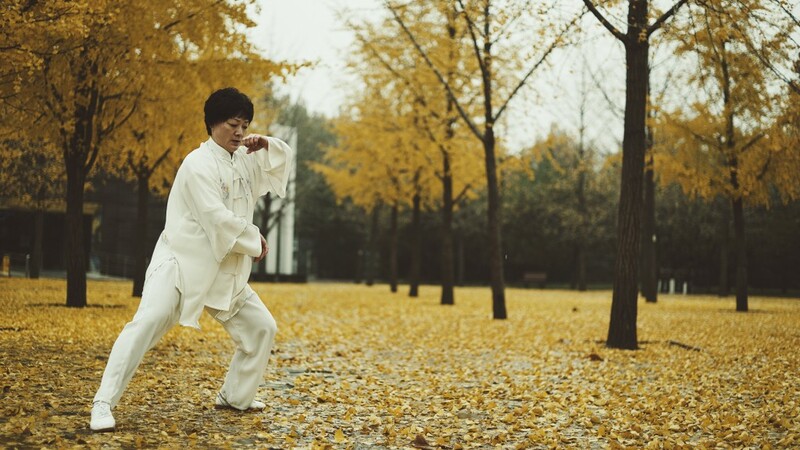 The temperature is great, the air quality is decent, and the yellow-orangish leaves on the city’s gingko trees decorate the streets and parks. However, you occasionally see groundskeepers and street cleaners playing Mother Nature by hitting branches with long sticks to remove leaves before they wither and fall naturally. 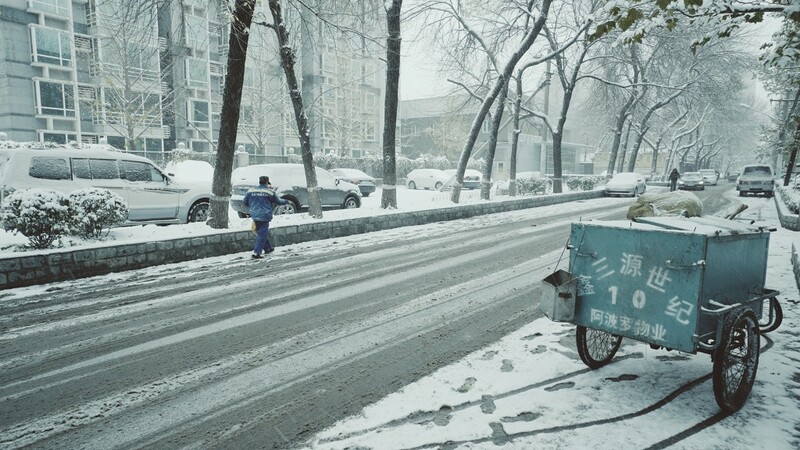 I guess that’s why I thought the snow in Beijing wouldn’t last long, because this army of workers would appear from nowhere and wipe away the white blanket in a couple of hours, whether with salt, brooms, or other unknown Chinese techniques. 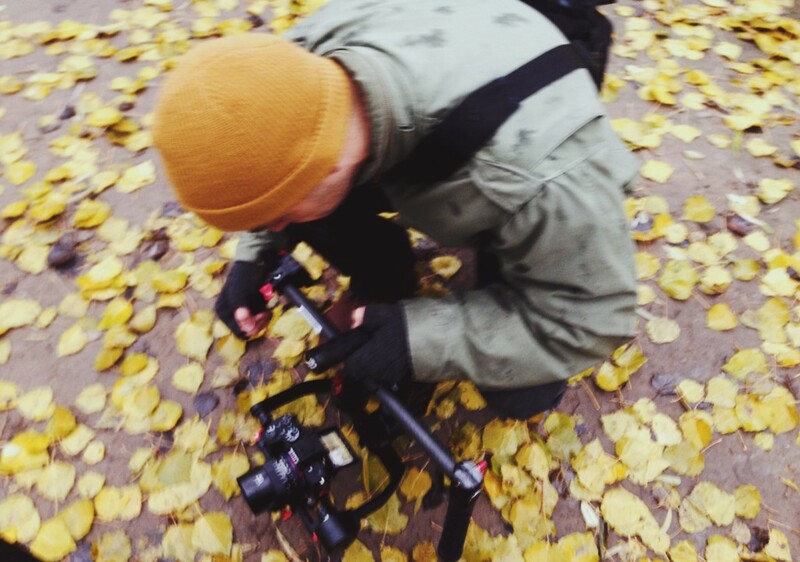 I headed to Jingshan Park to get some footage, but I wasn’t alone. It seemed like half of the city’s population shared the same idea. 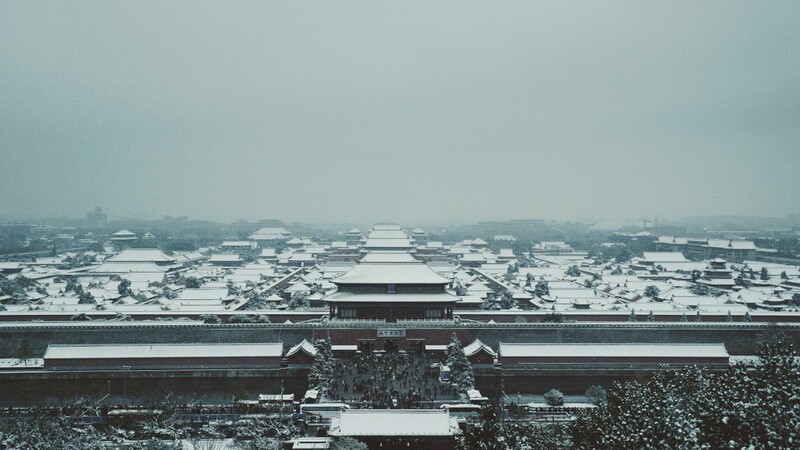 The view from the top of the hill is impressive, no matter what time of the year you visit it. 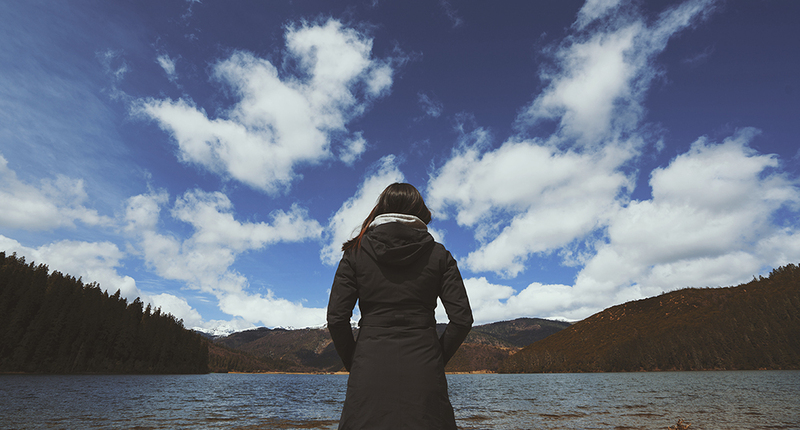 It doesn’t matter whether it is polluted, cloudy or sunny. 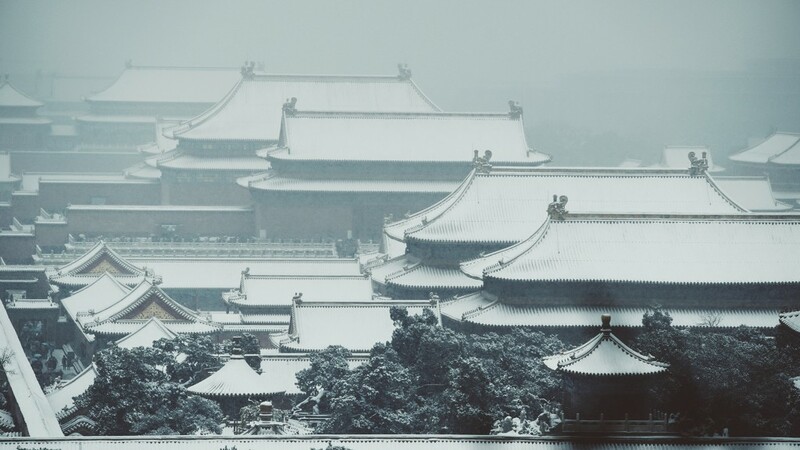 On a snowy day, the snow-covered roofs give the Forbidden City a unique picturesque feel. 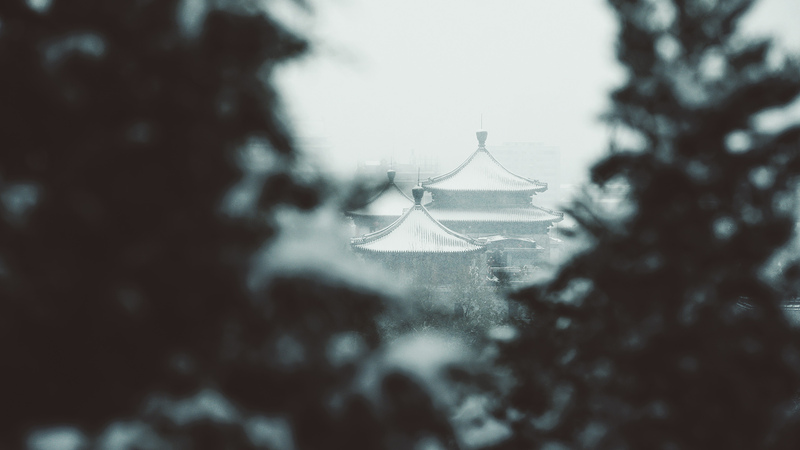 A trip to the three-story pavilion, with hordes of other Beijingers, offers a magnificent view of the city in any season.